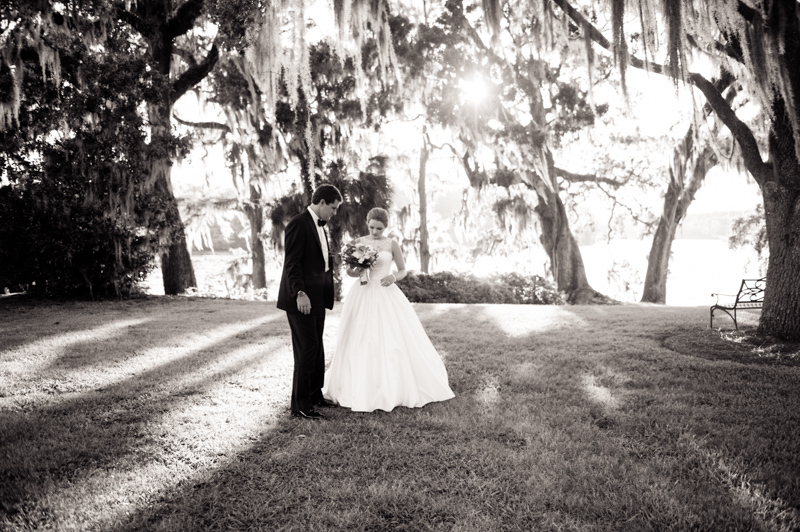 Francie and Walker’s understated Wachesaw wedding glistened in the moonlight of the plantation trees. 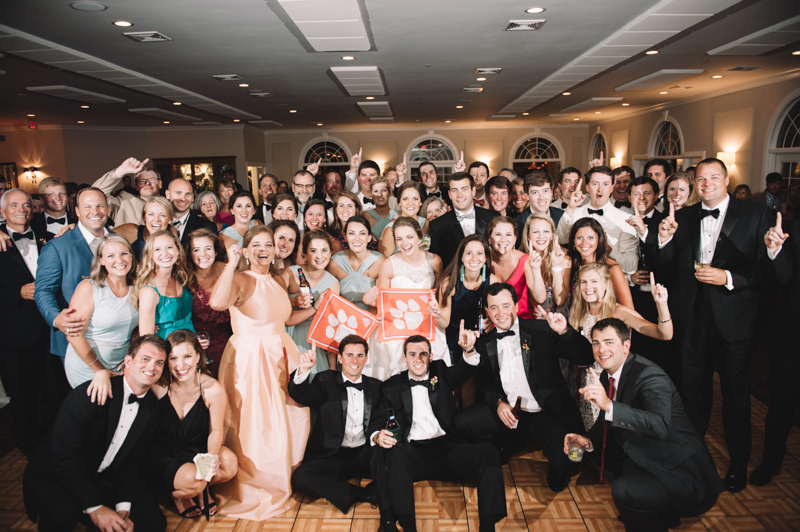 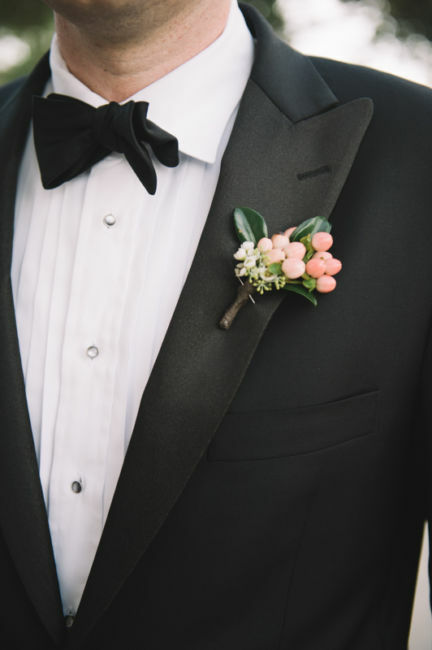 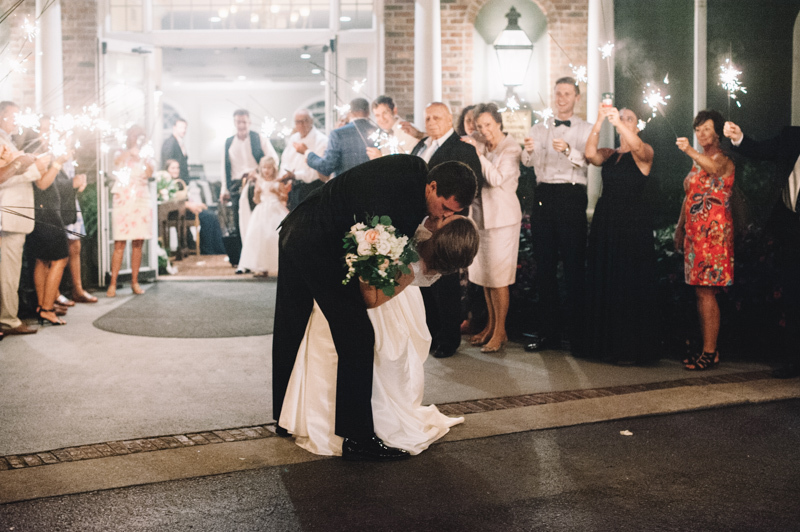 The couple’s intimate New Years Eve weekend engagement was followed by an evening with friends, brunch with family, and a special dinner as new fiancés. 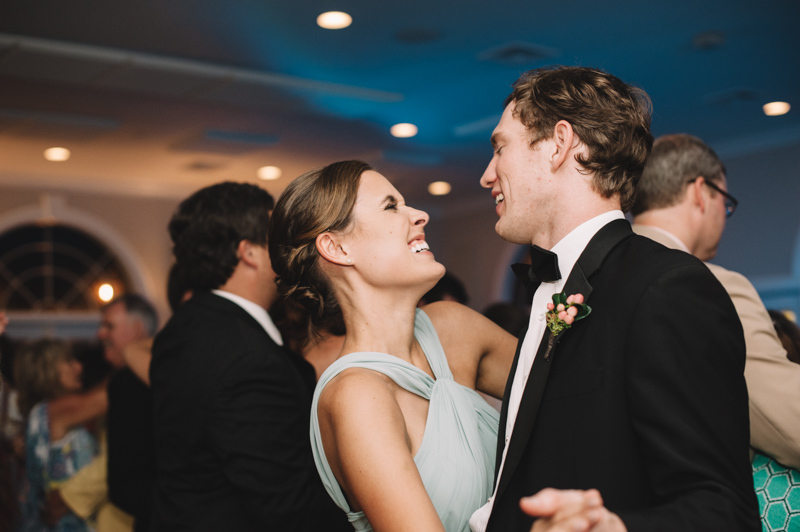 Francie, a talkative, detail-oriented nurse, and Walker, a calm and patient financial analyst, complement each other in all the best ways. 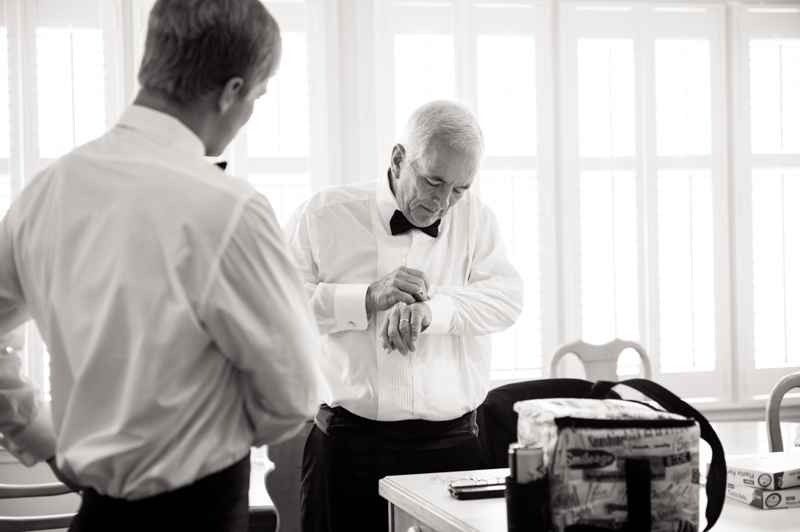 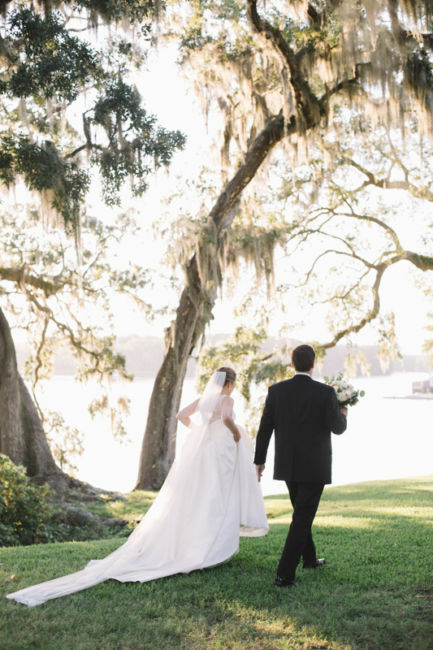 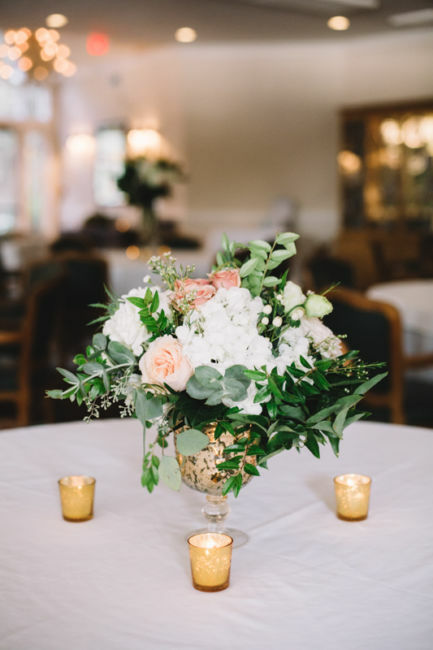 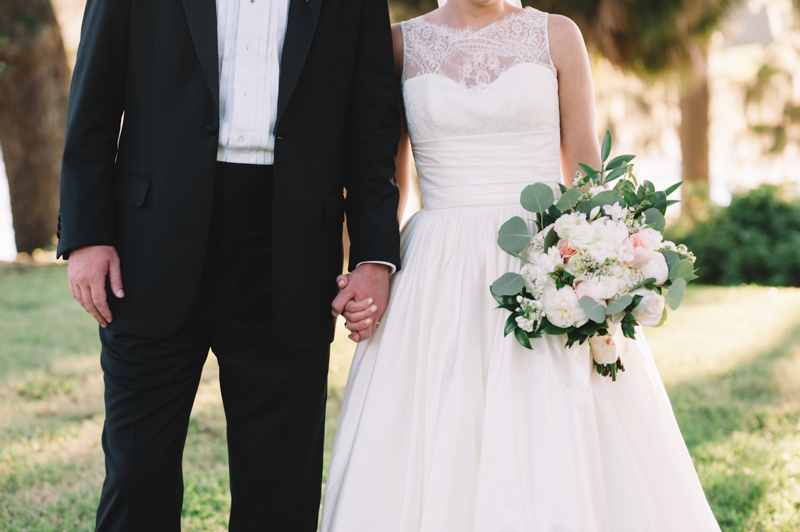 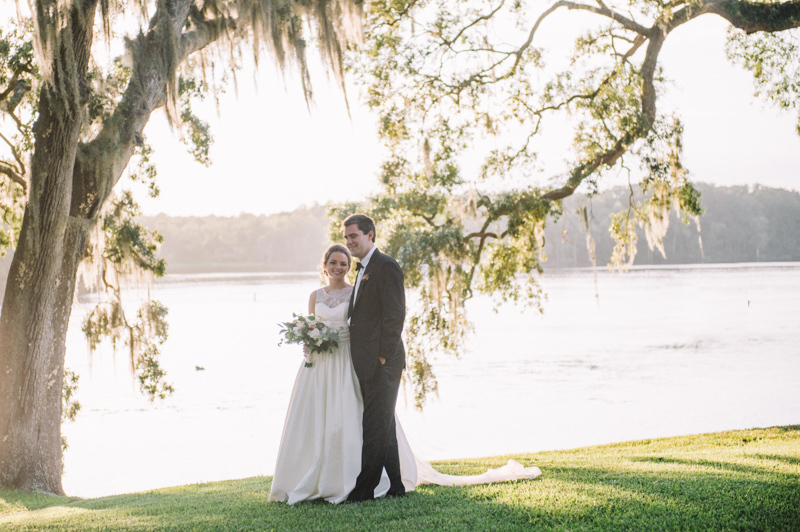 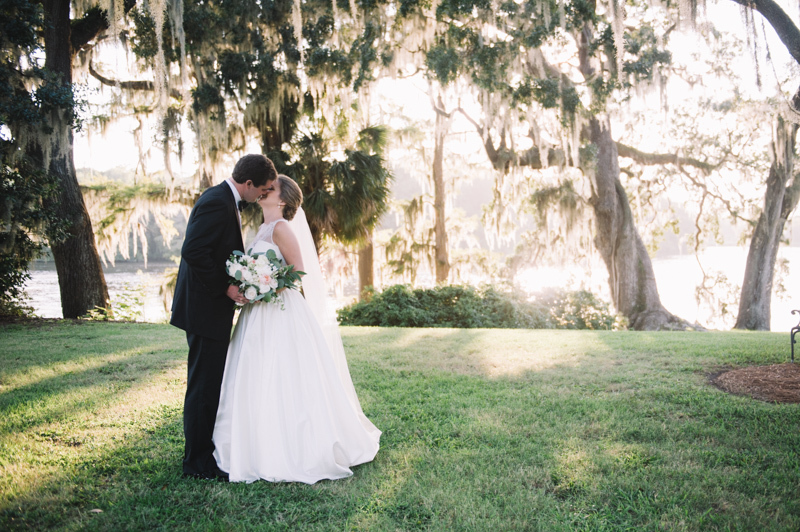 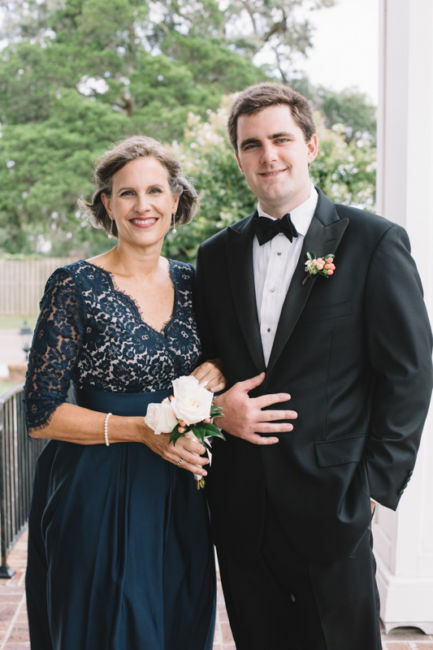 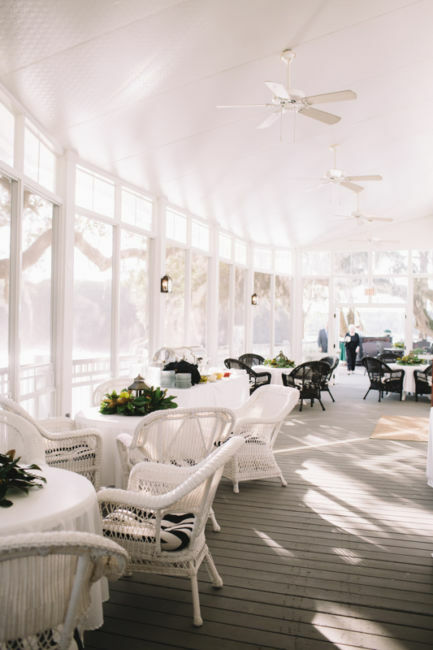 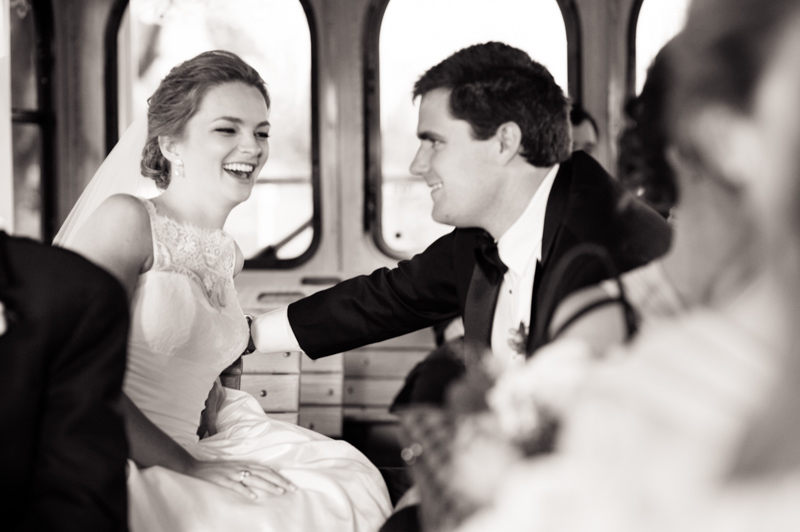 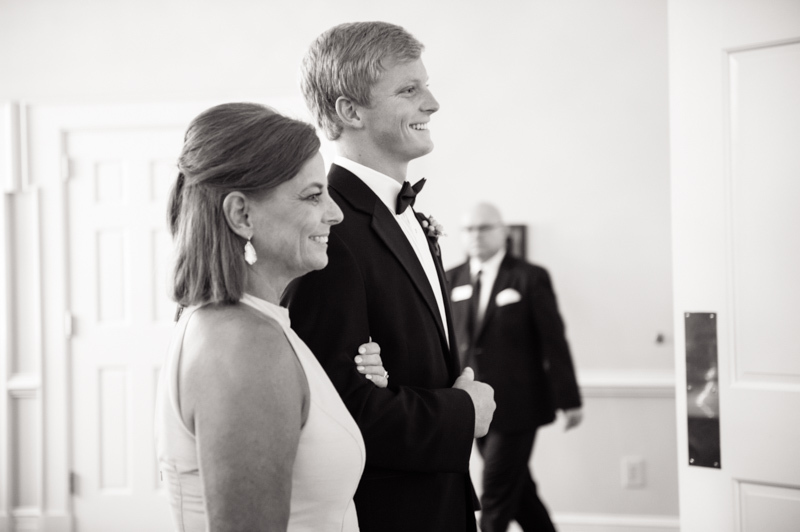 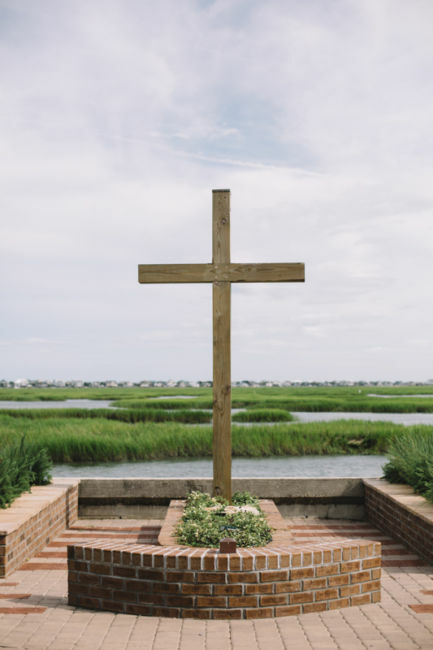 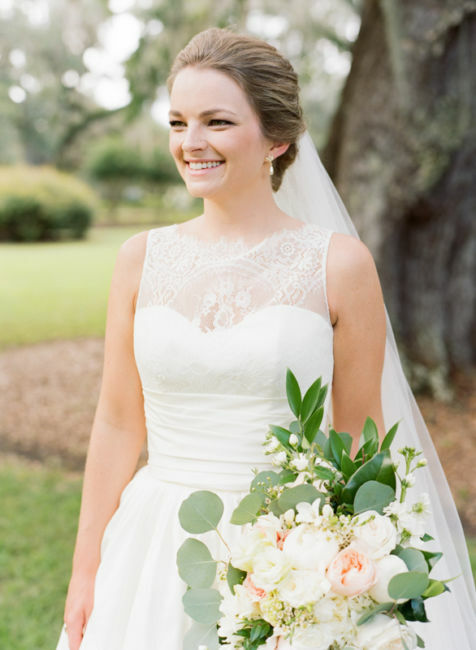 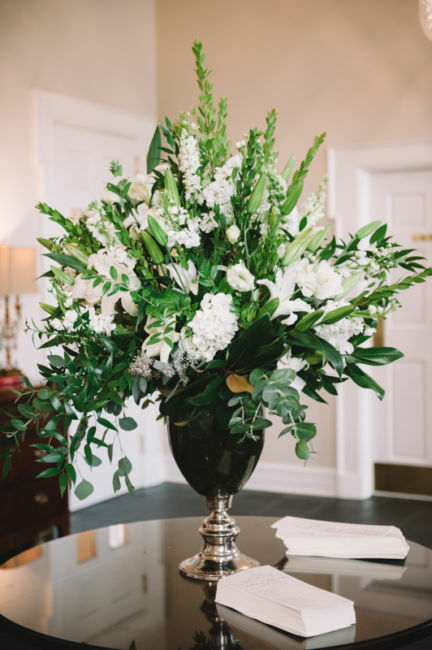 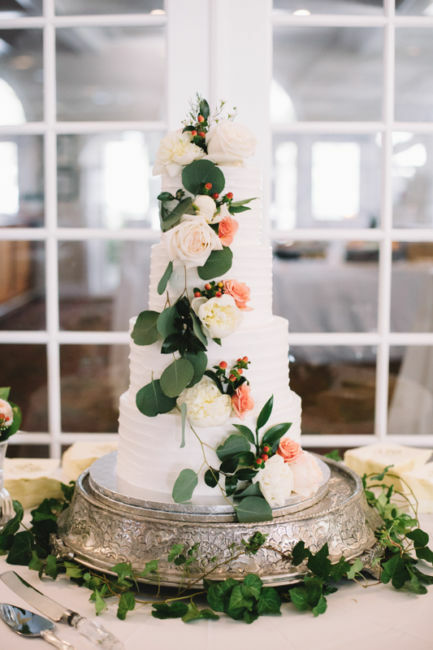 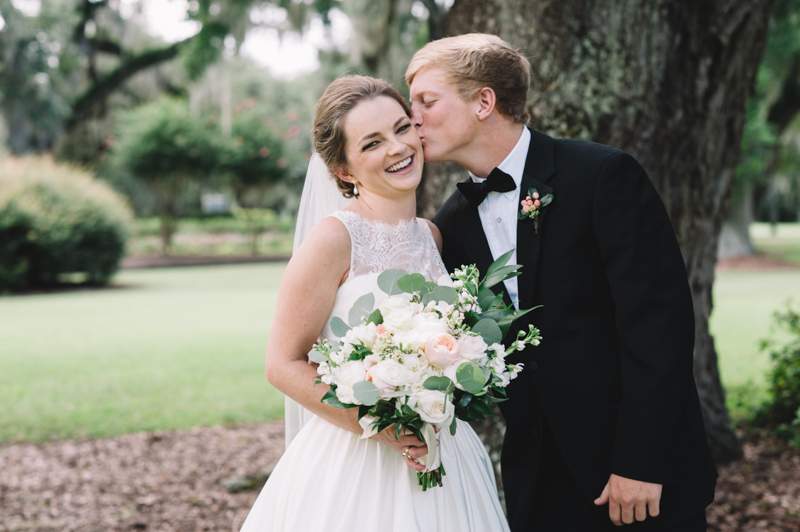 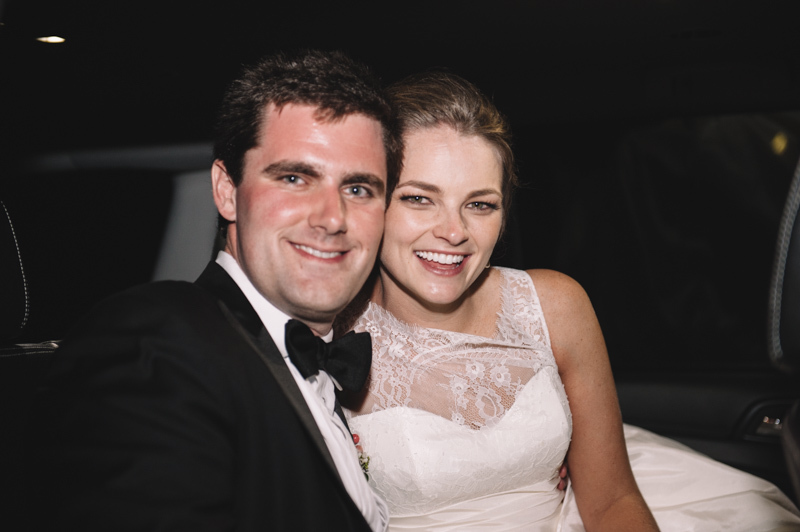 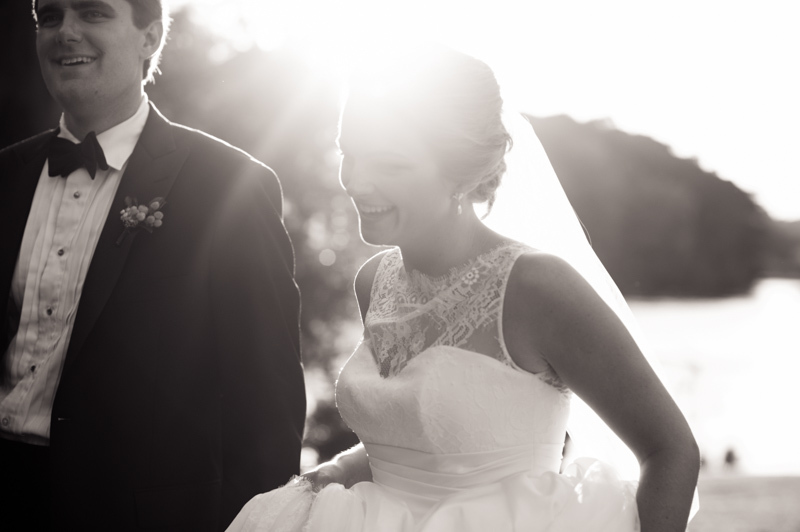 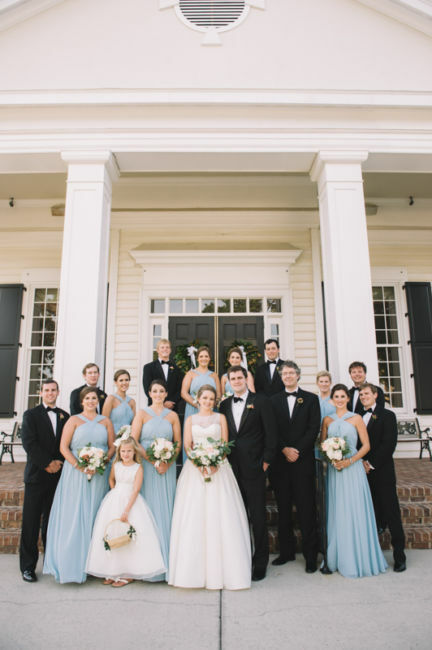 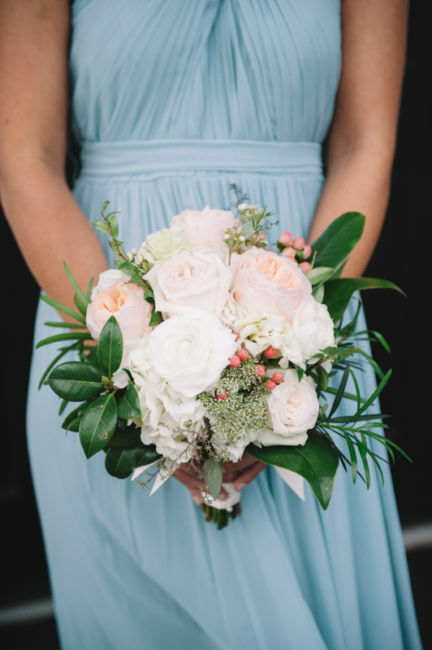 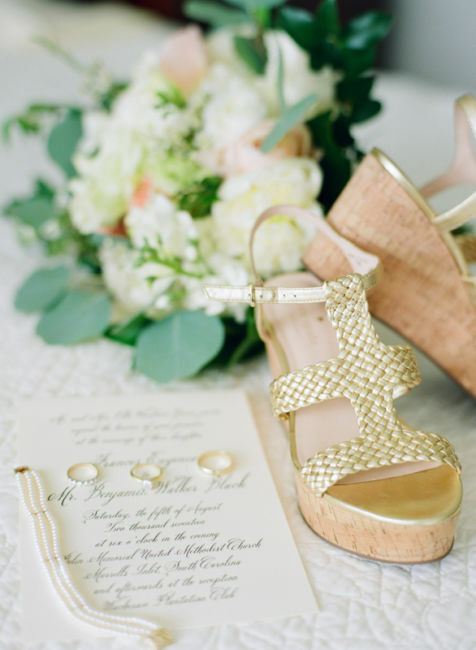 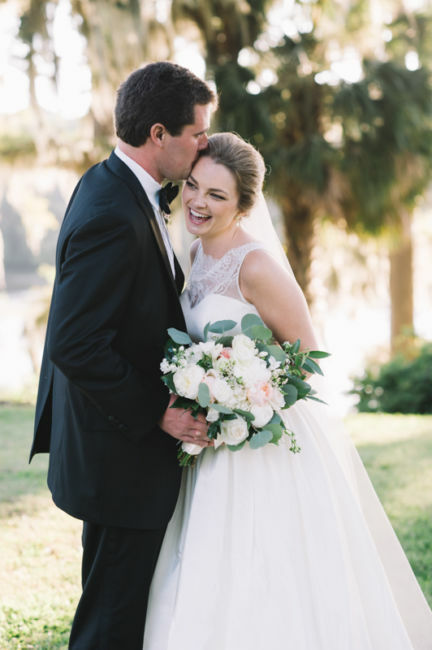 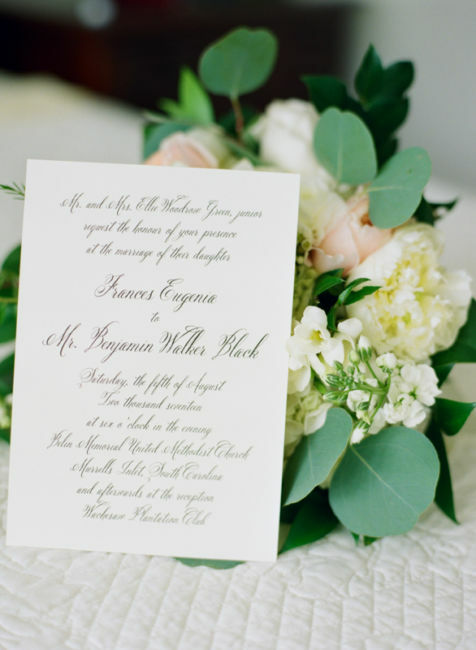 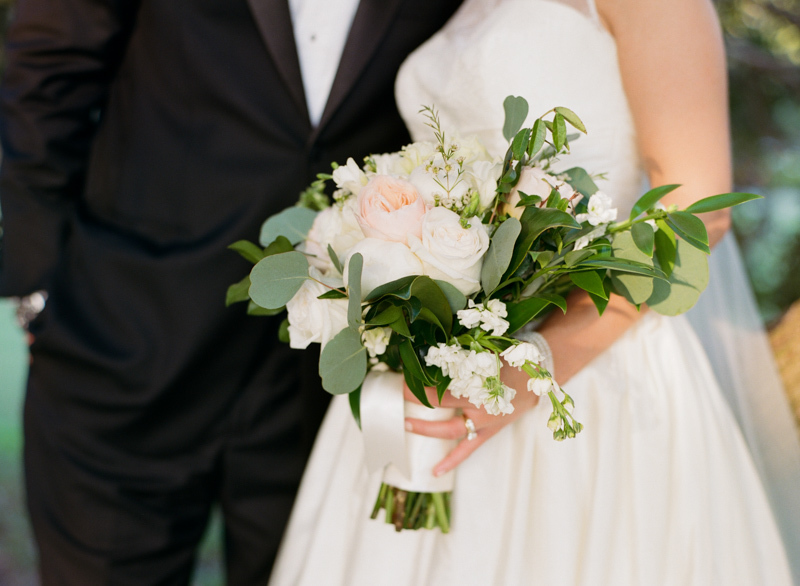 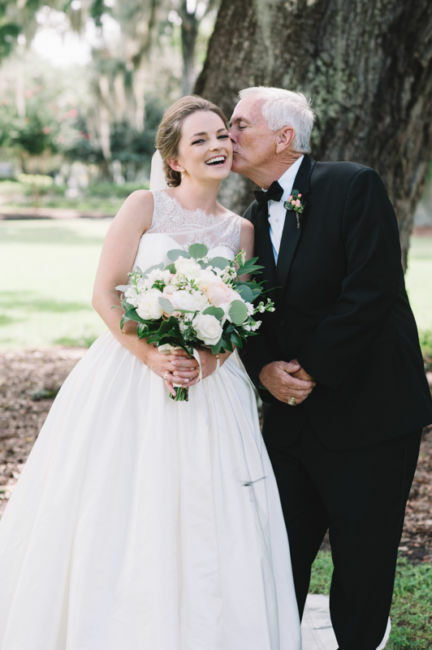 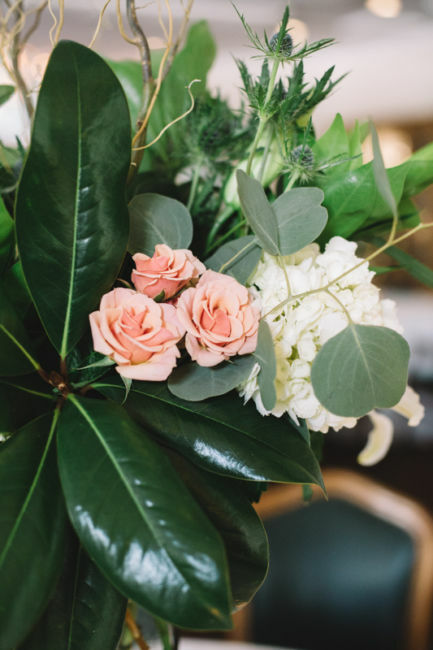 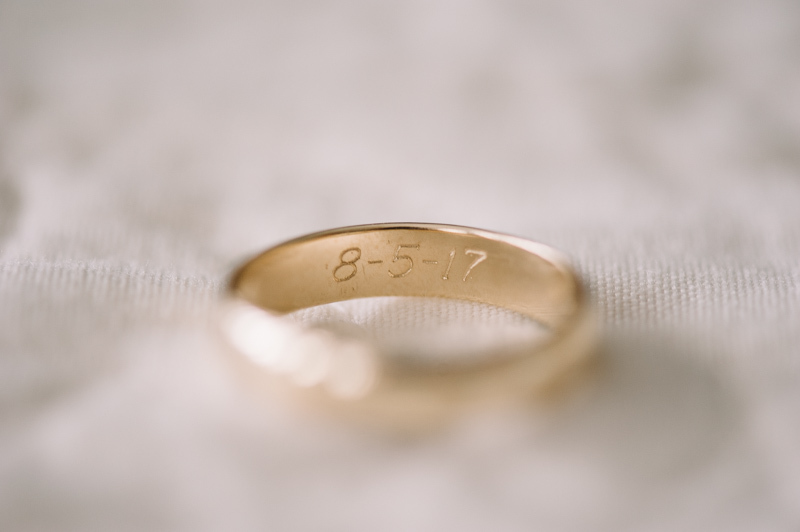 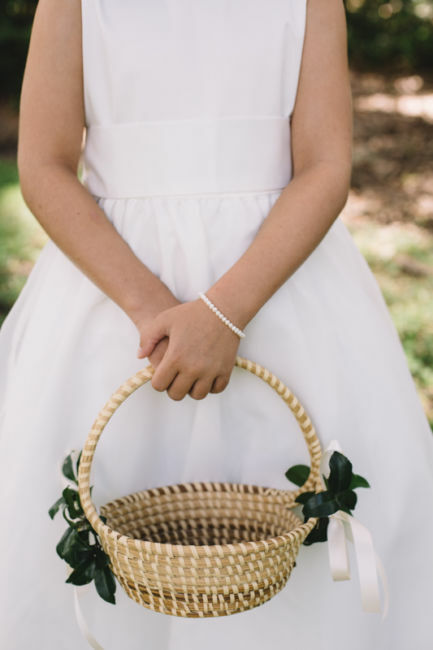 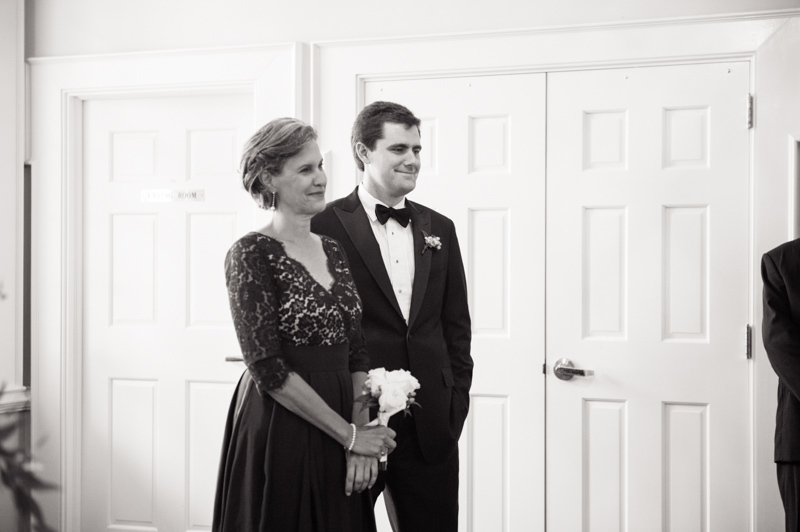 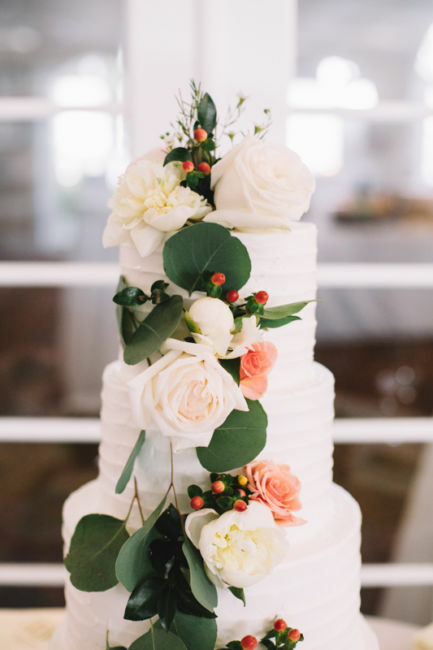 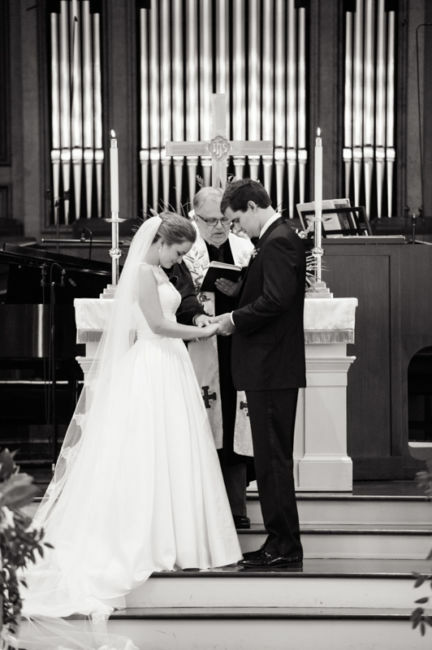 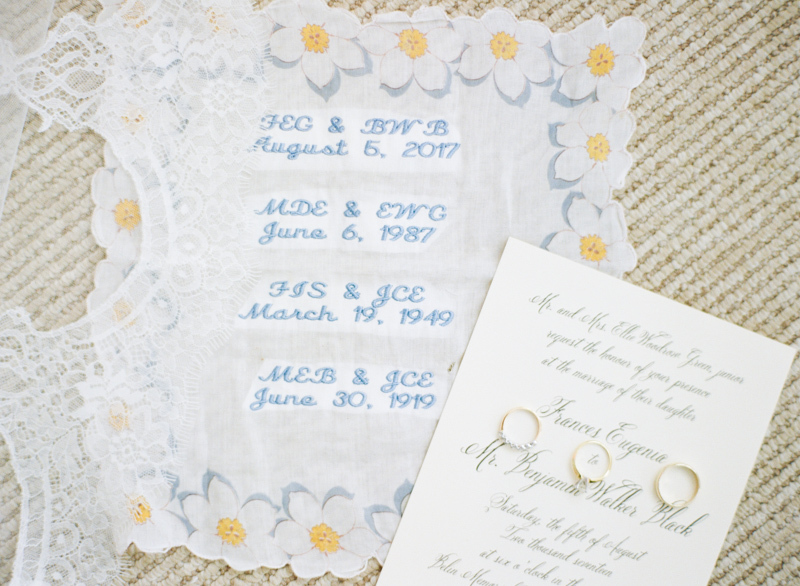 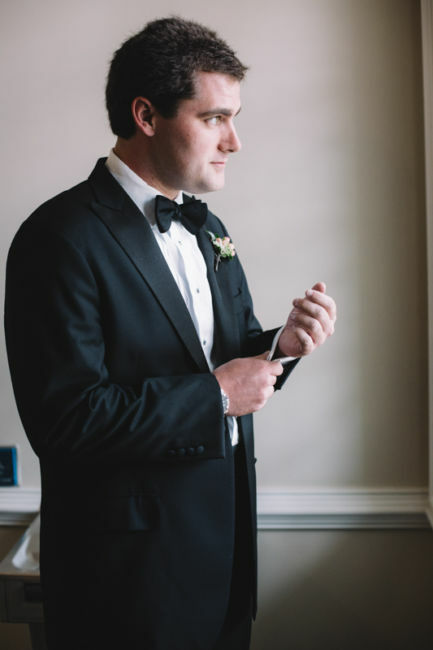 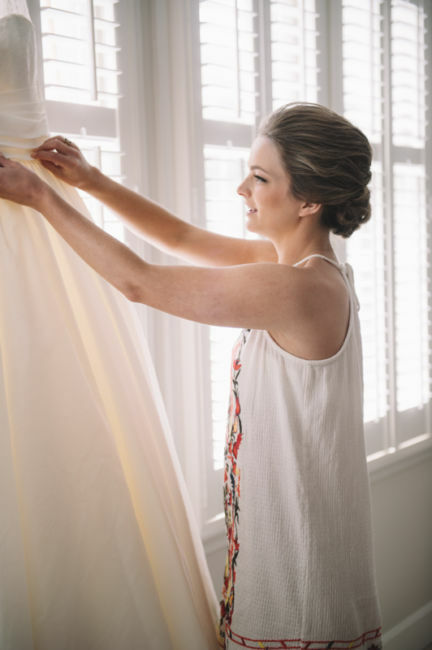 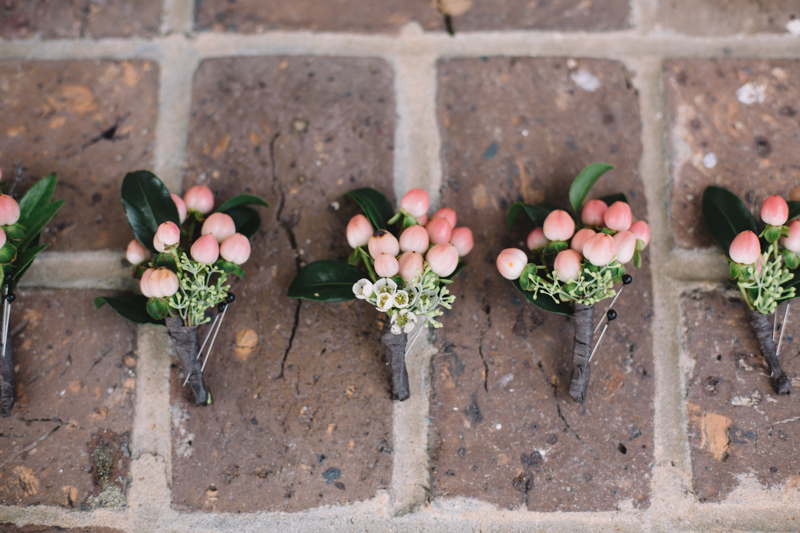 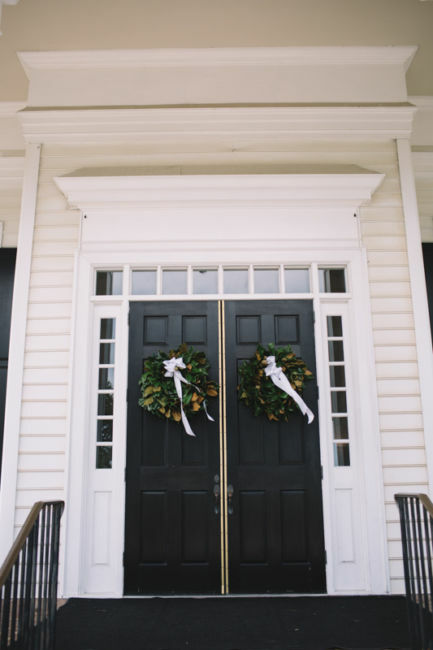 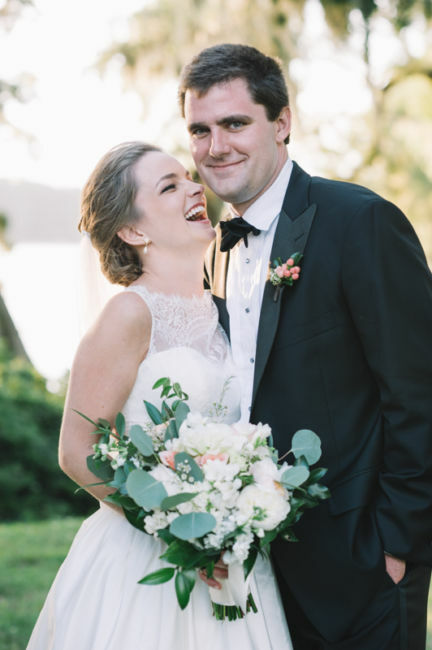 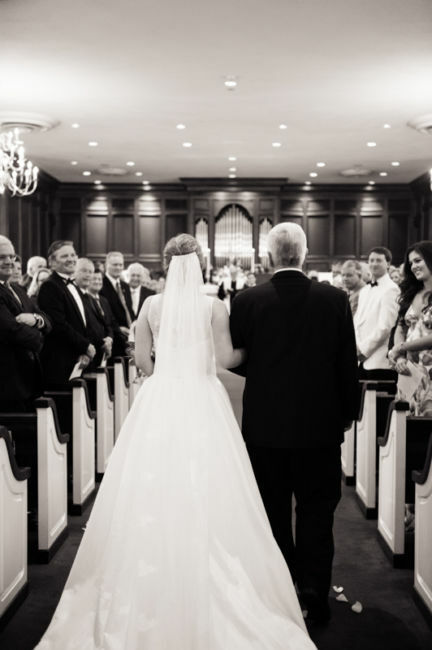 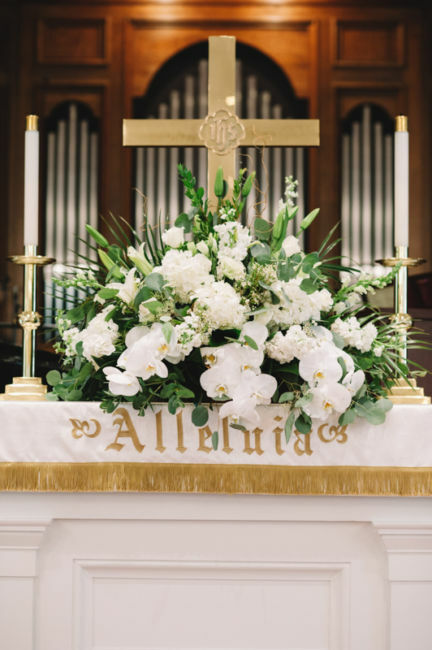 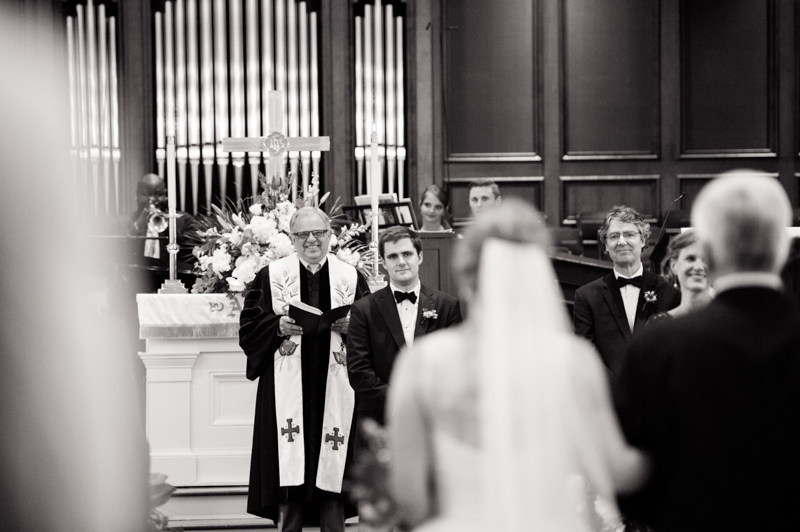 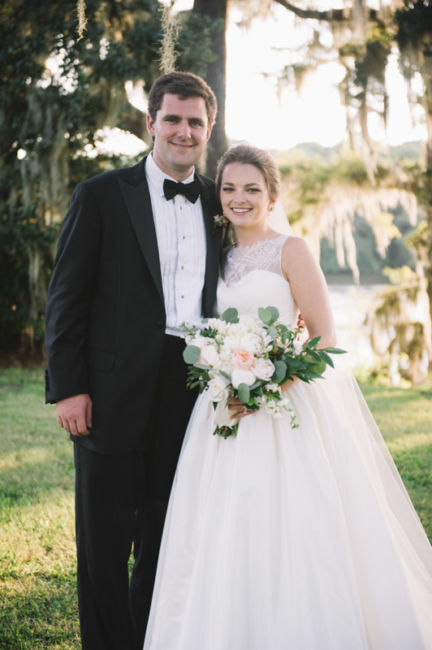 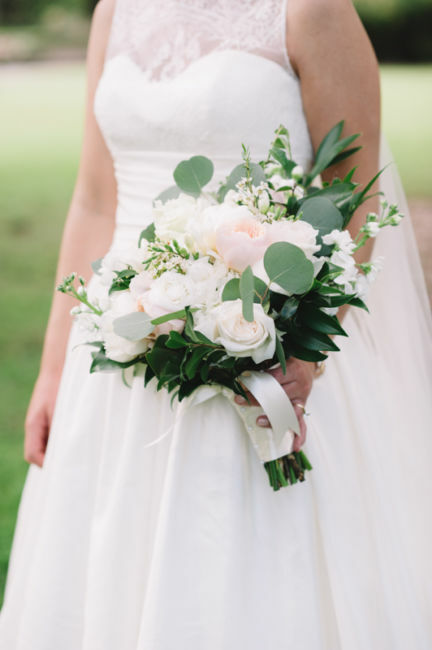 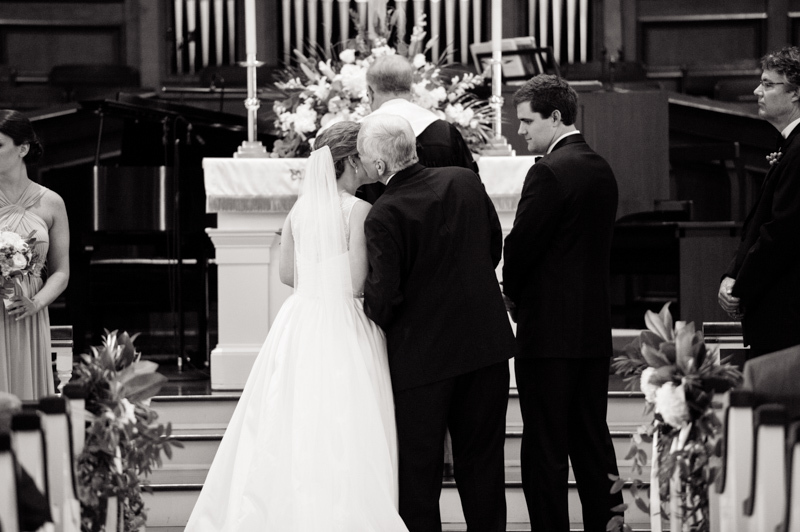 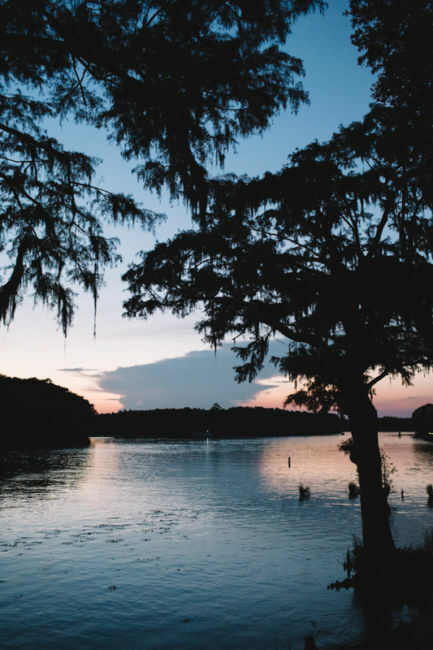 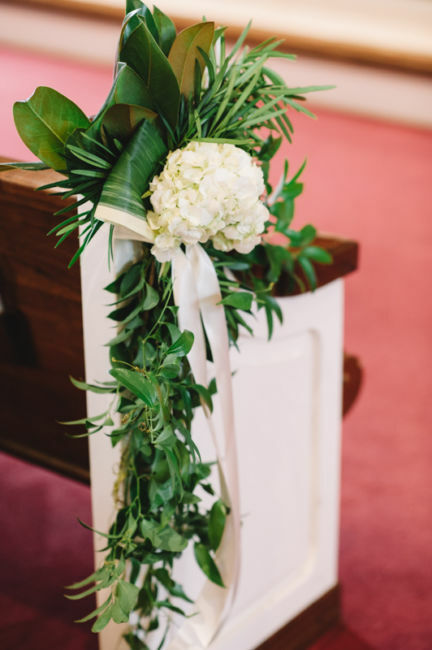 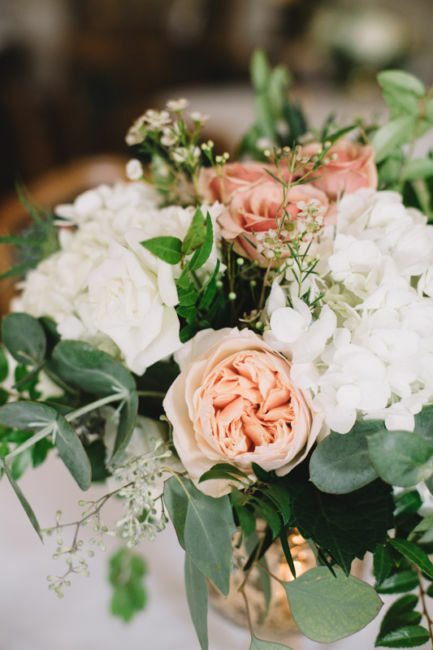 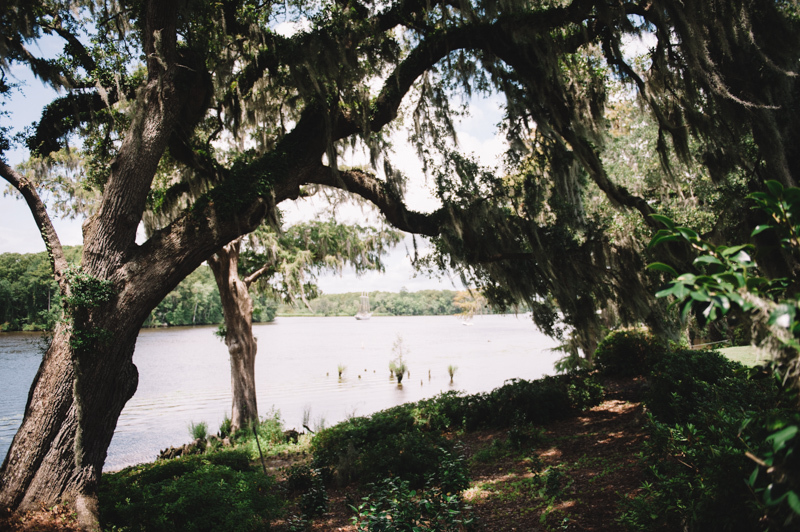 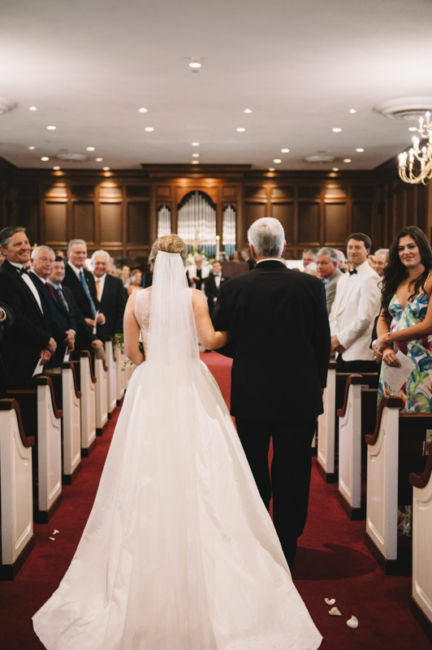 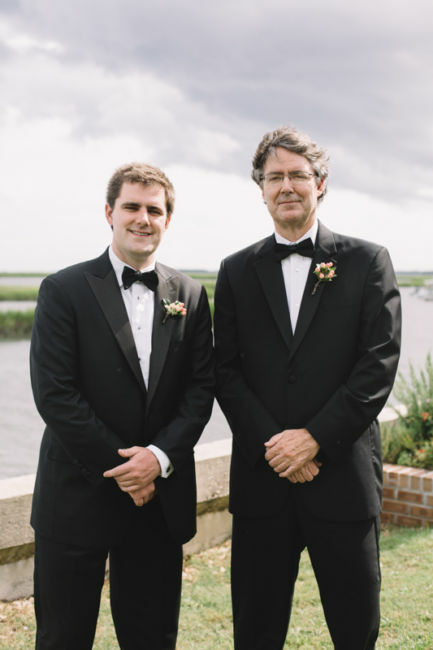 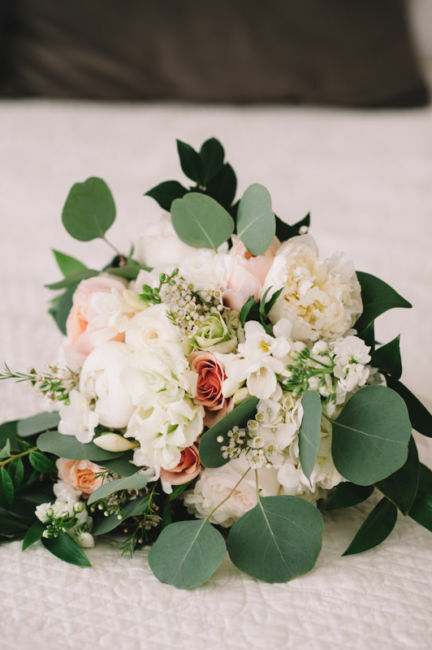 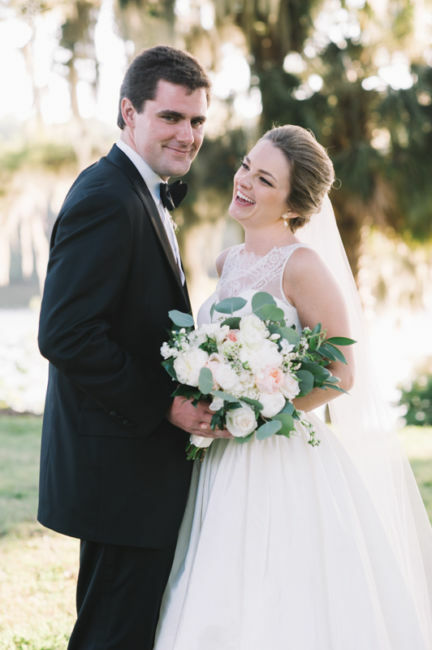 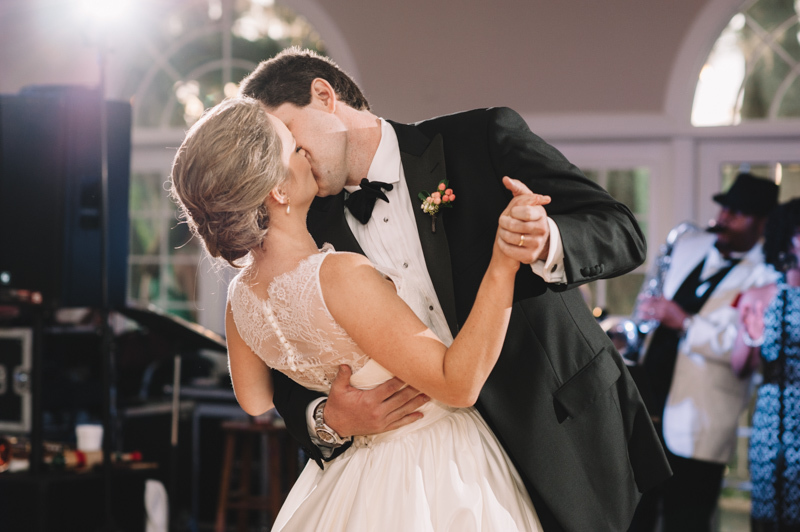 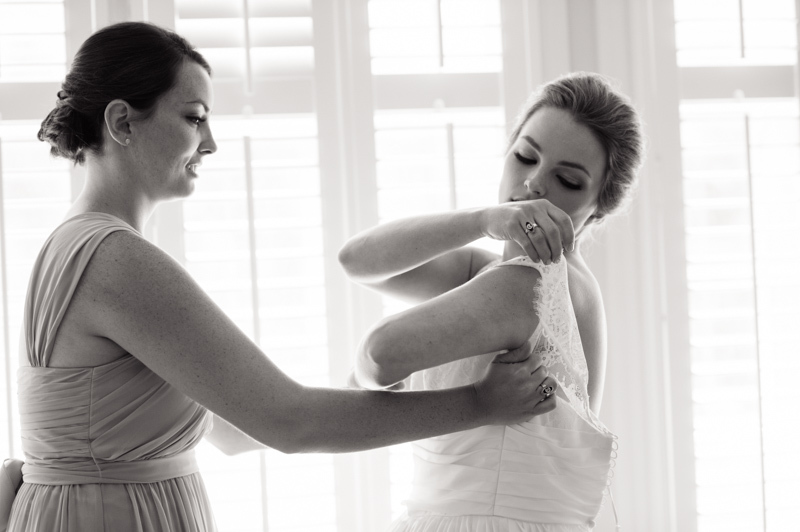 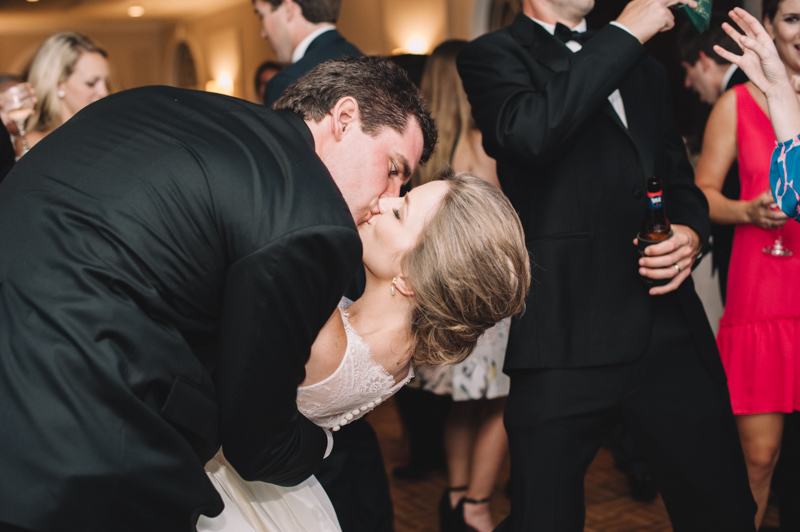 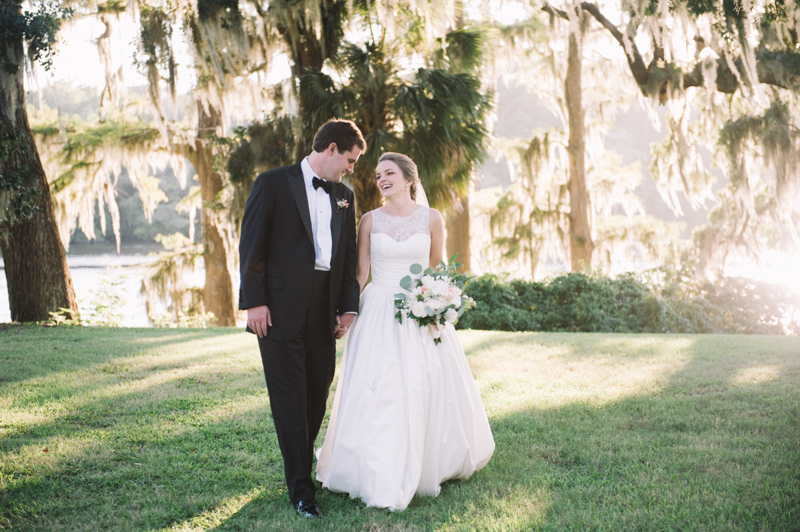 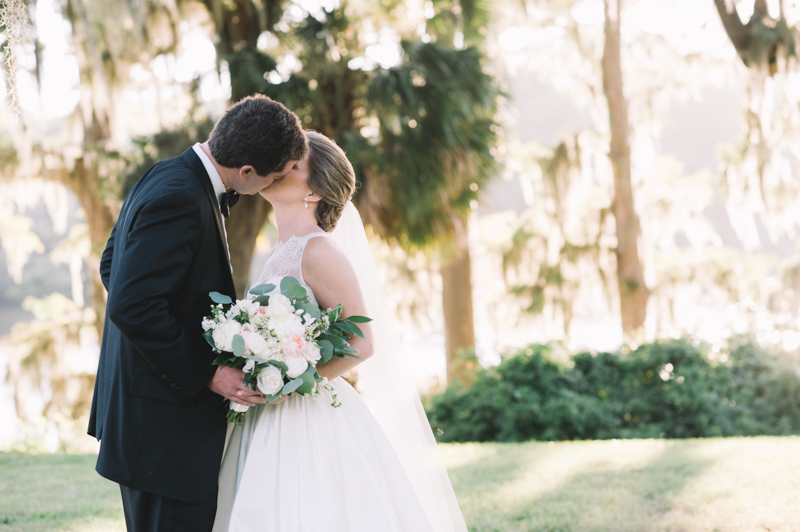 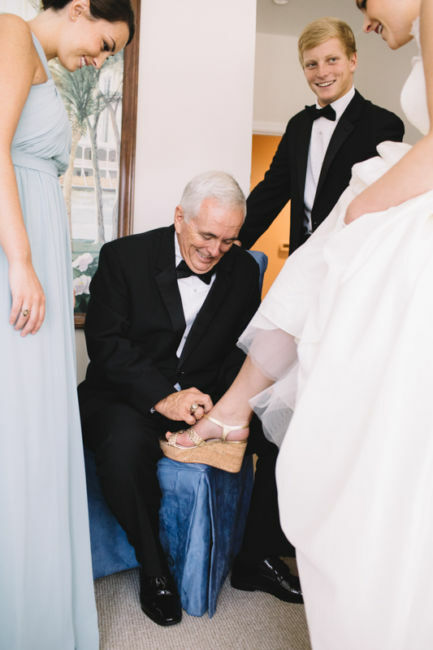 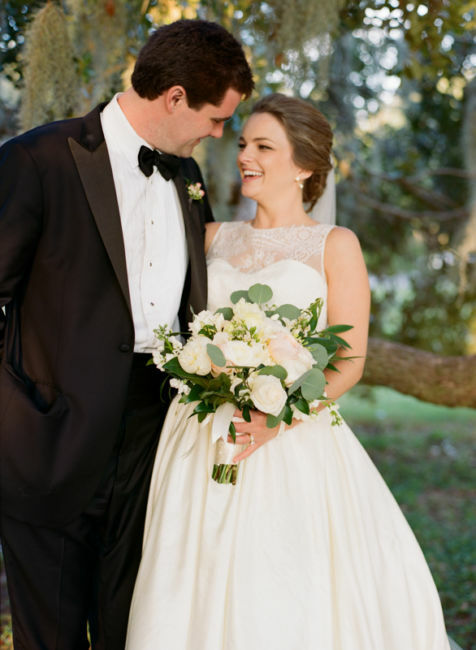 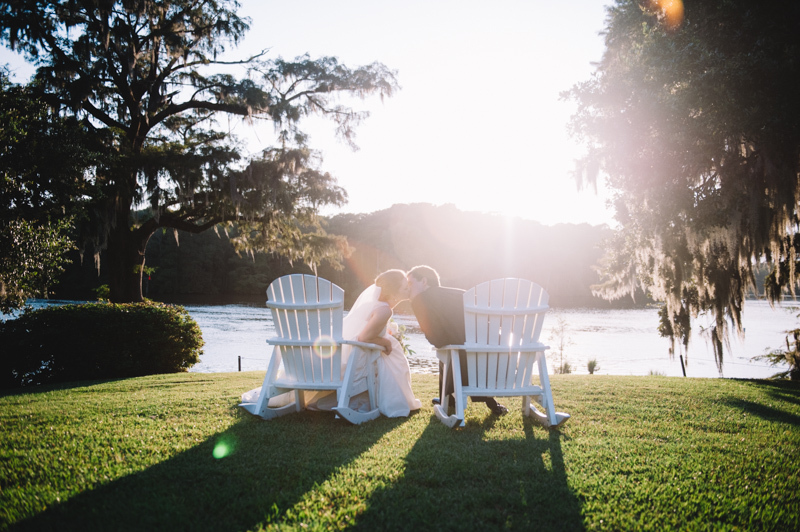 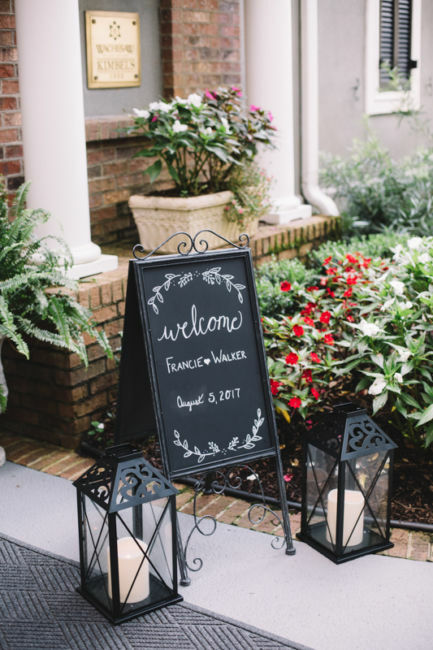 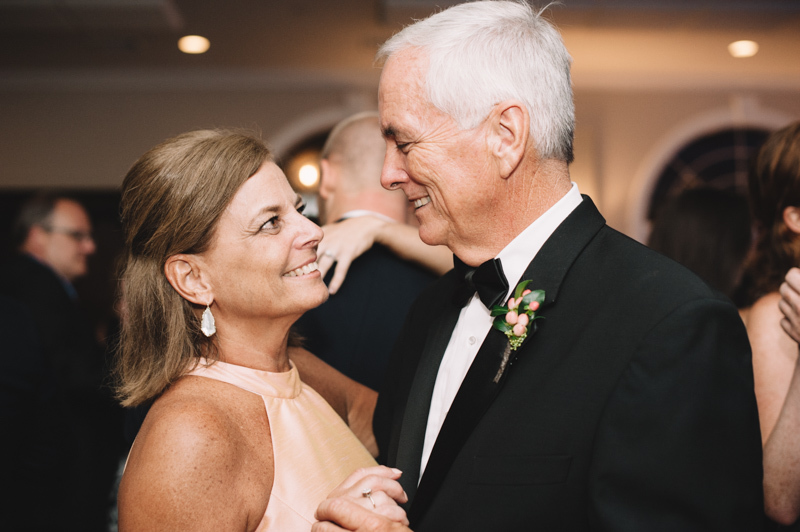 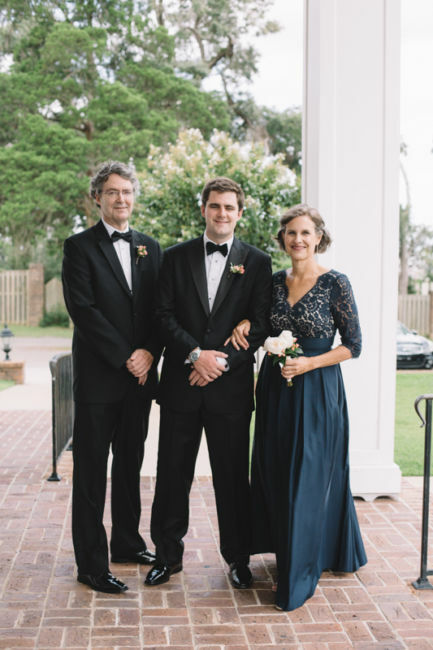 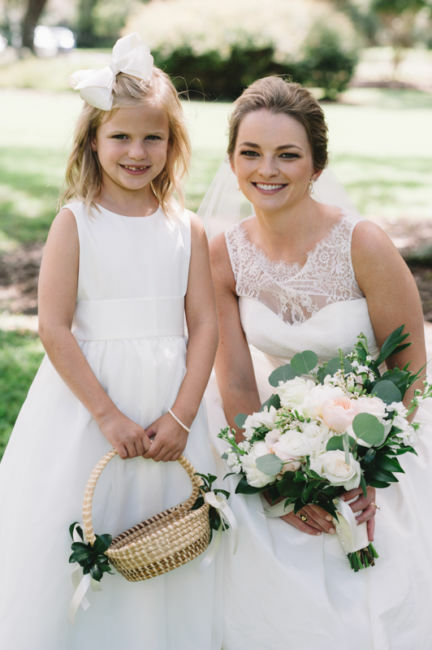 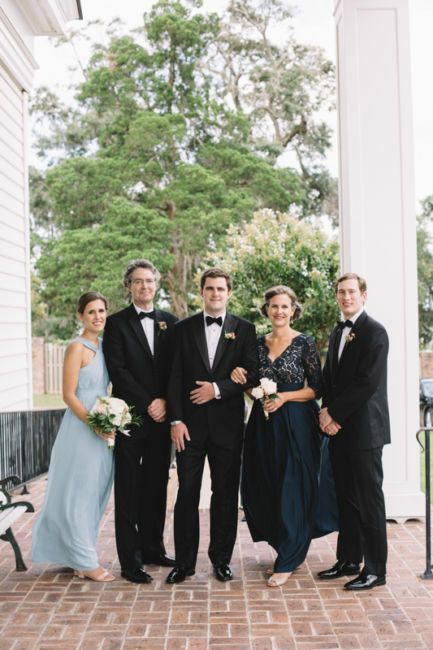 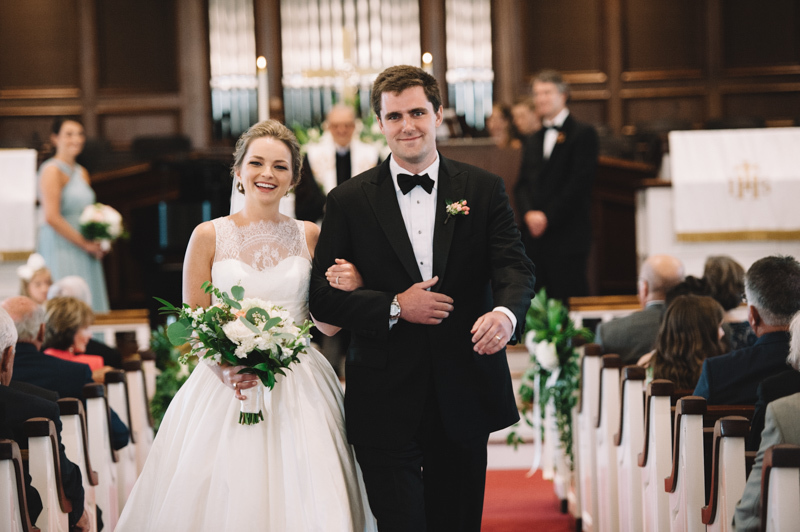 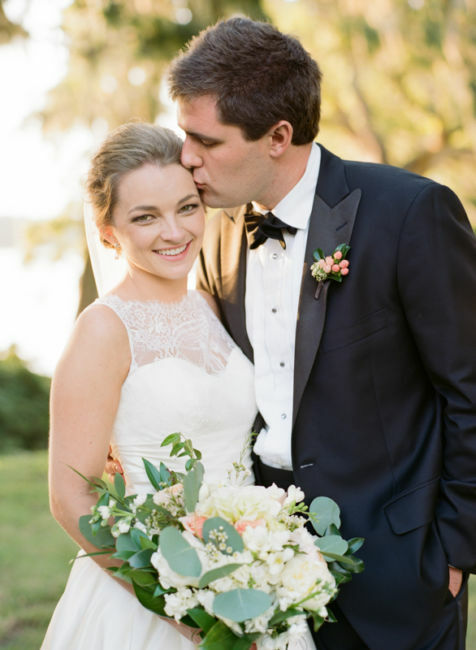 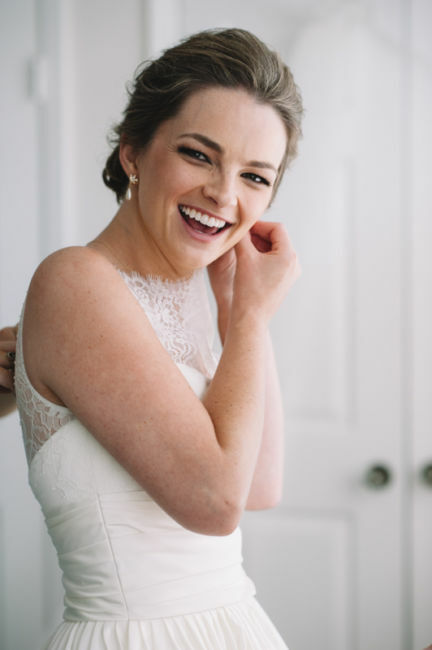 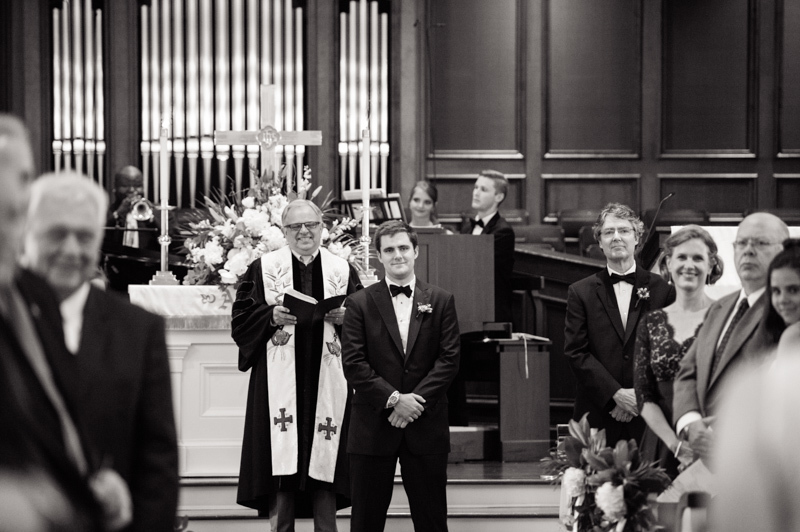 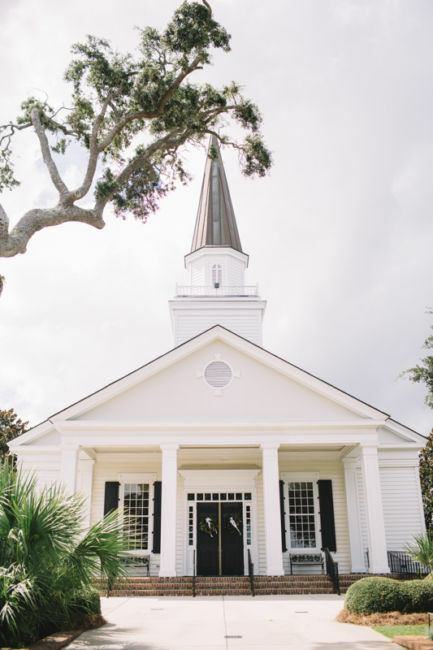 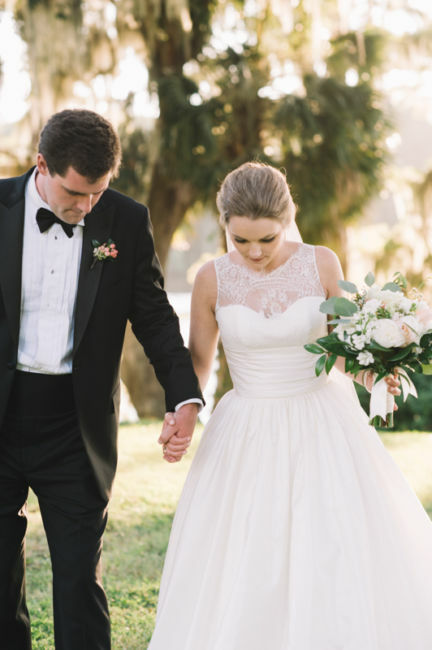 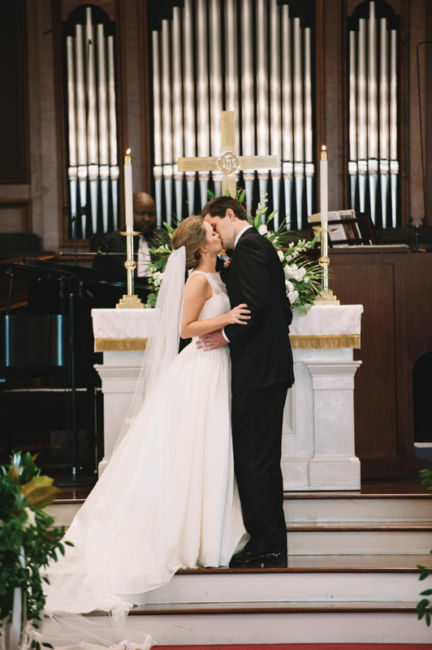 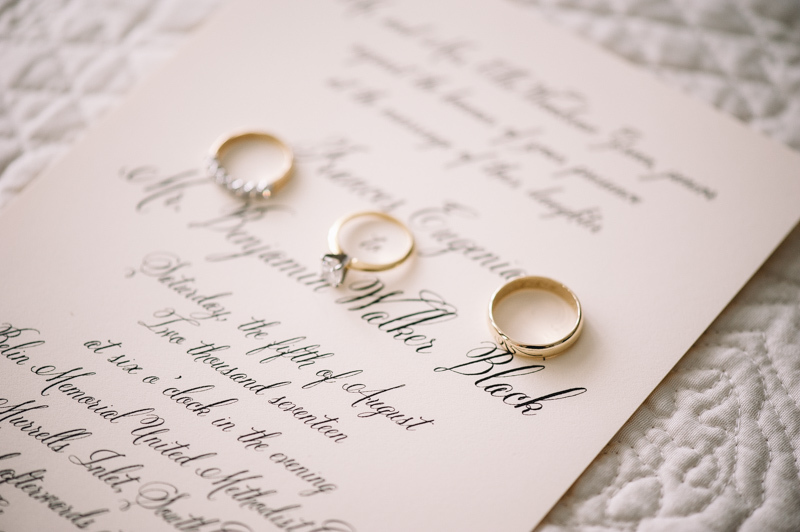 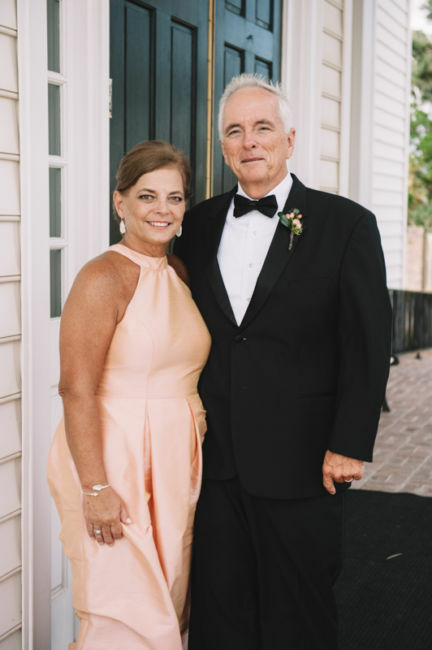 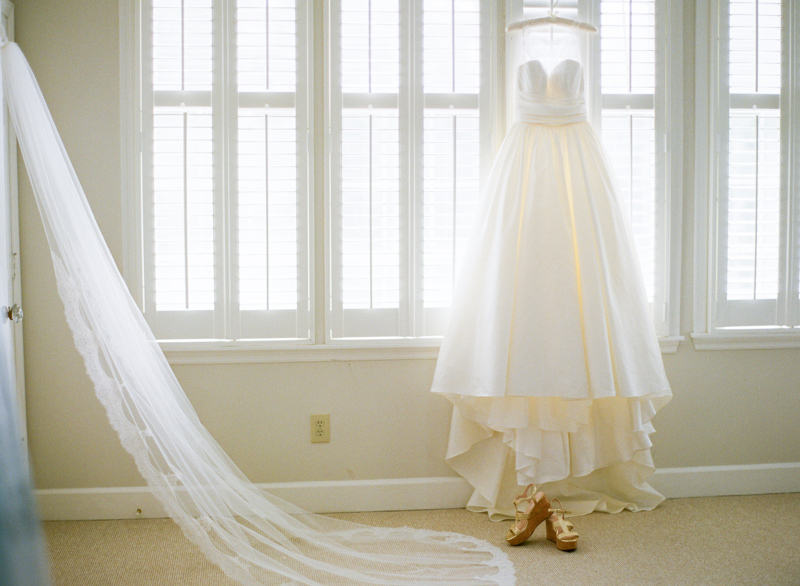 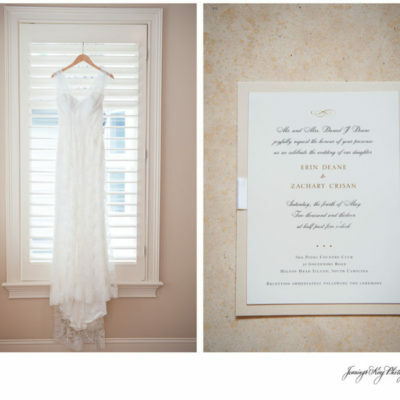 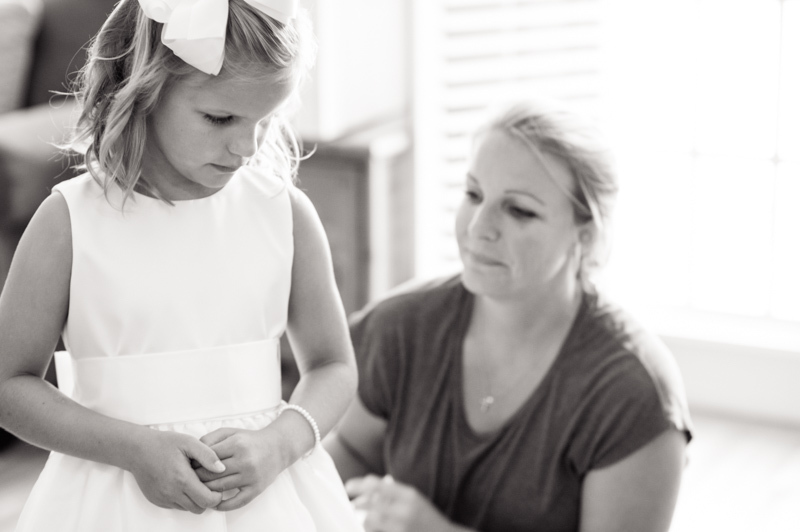 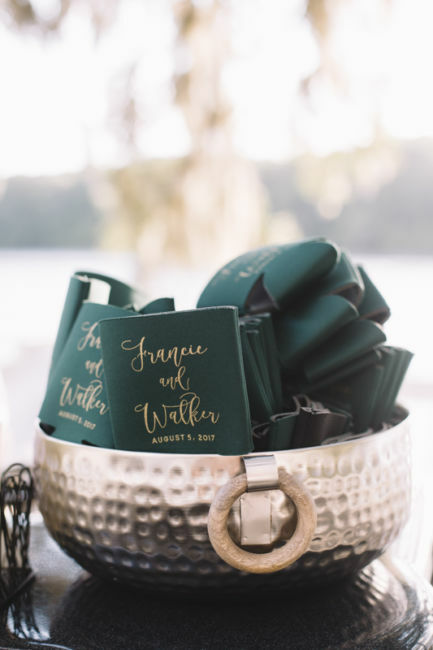 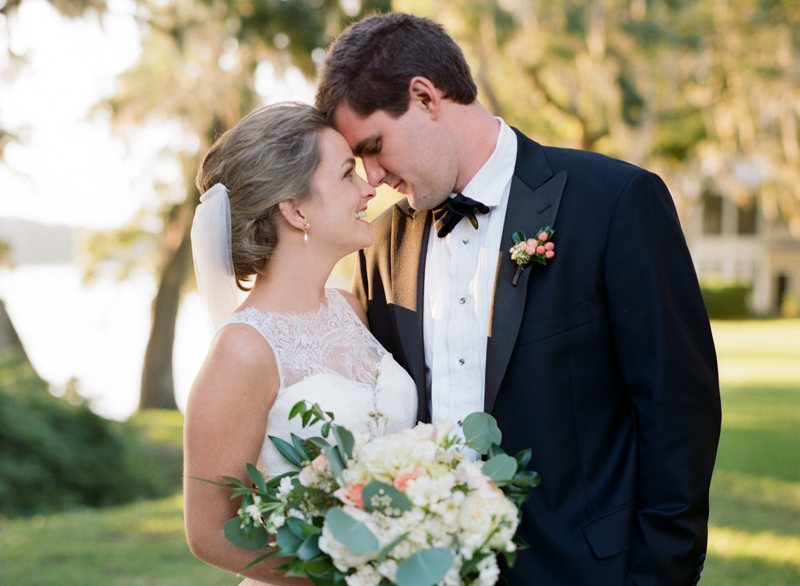 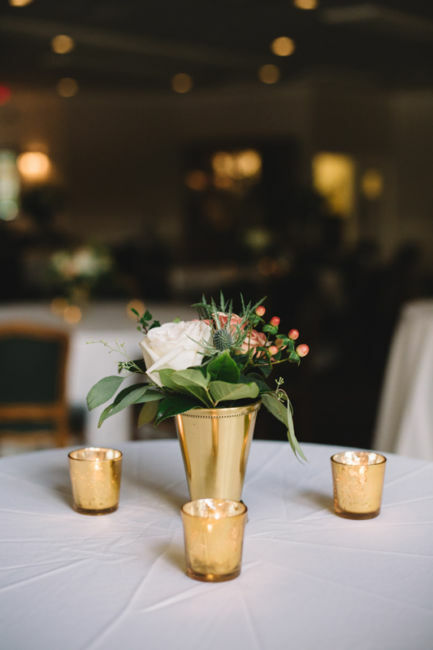 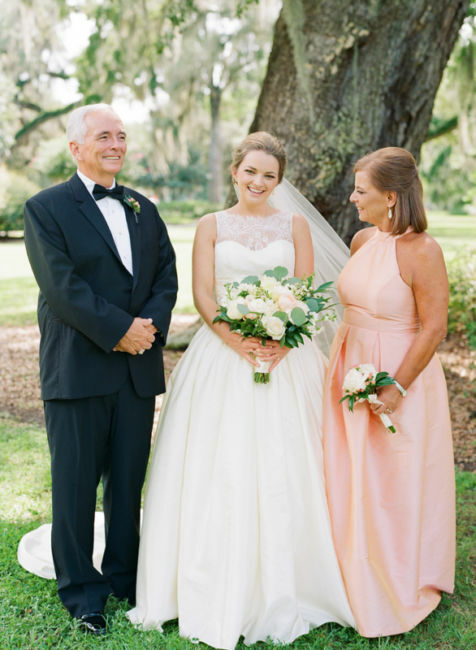 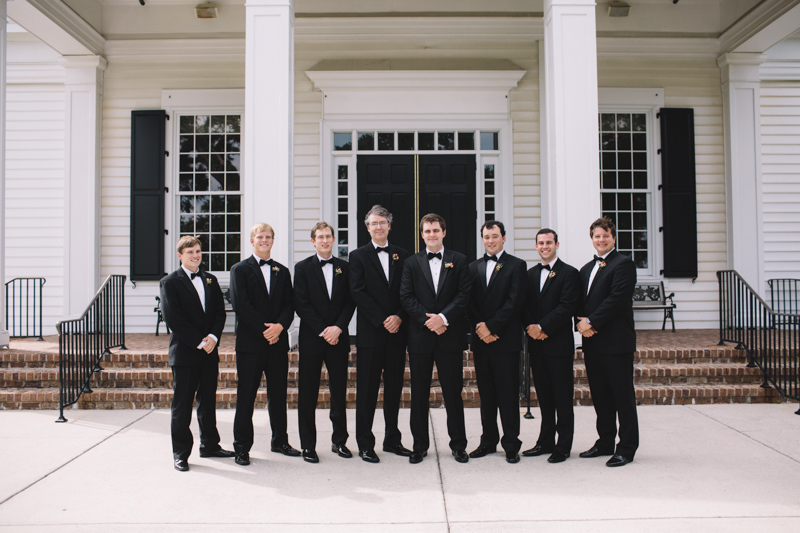 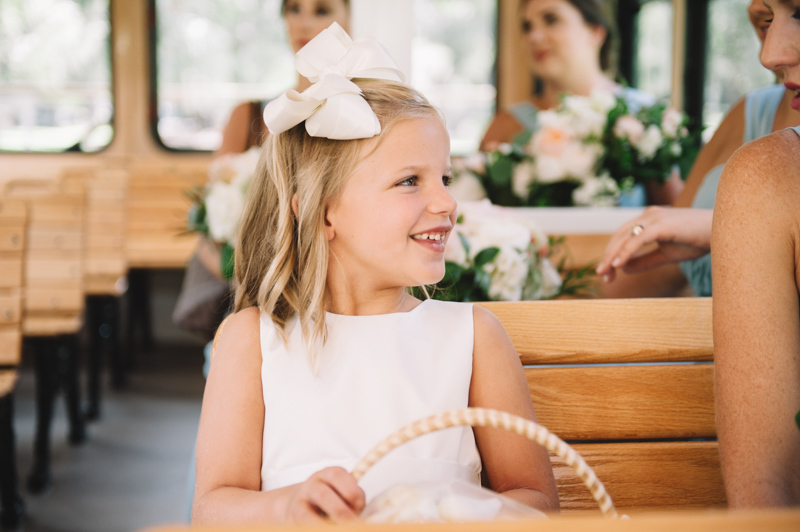 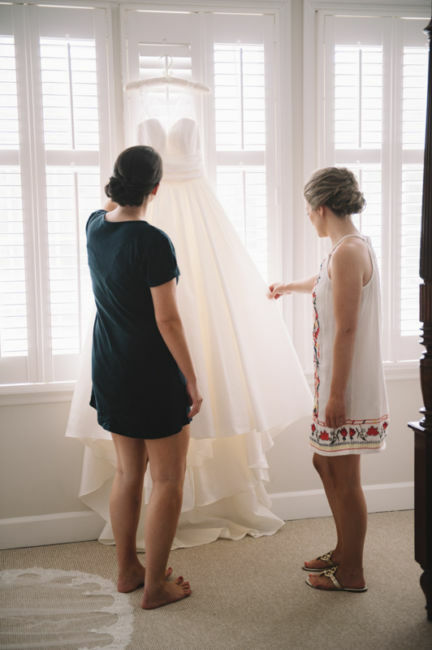 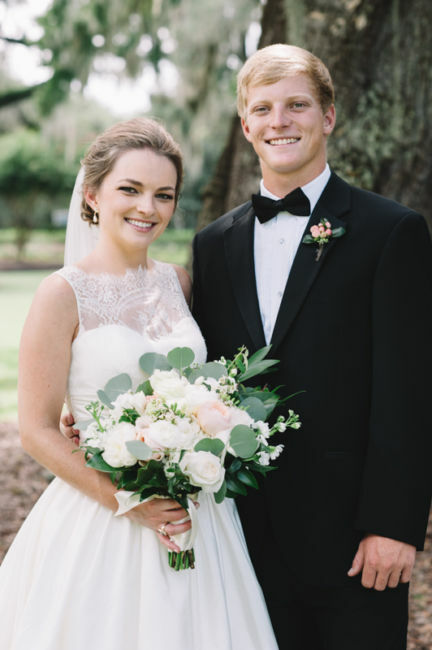 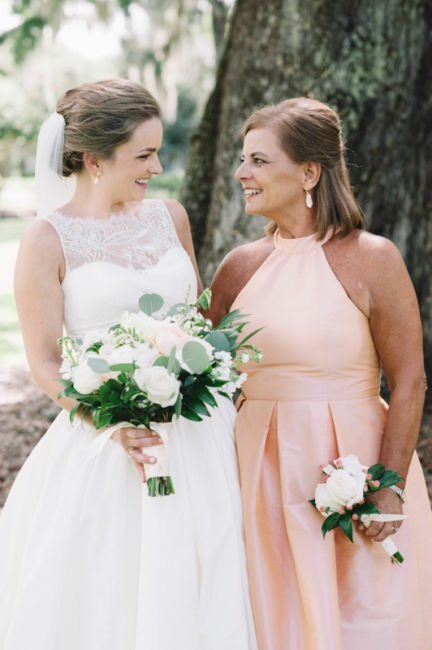 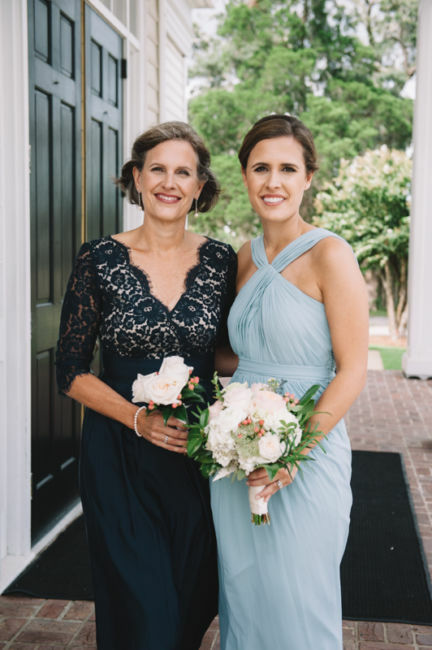 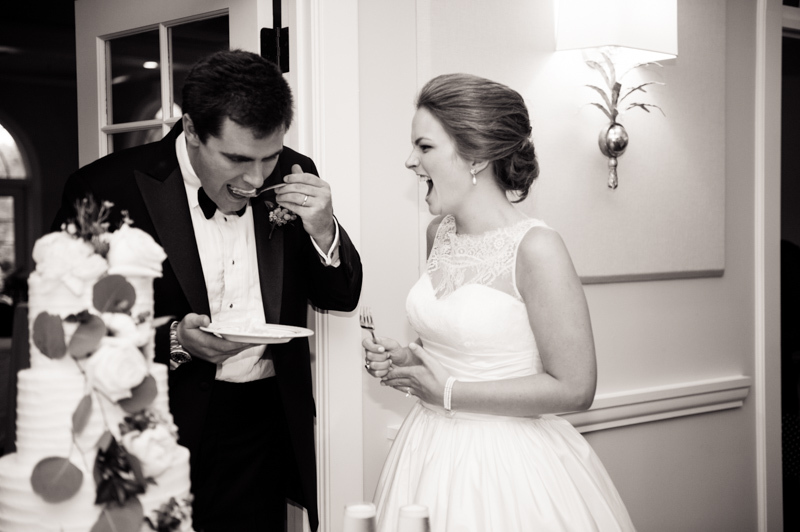 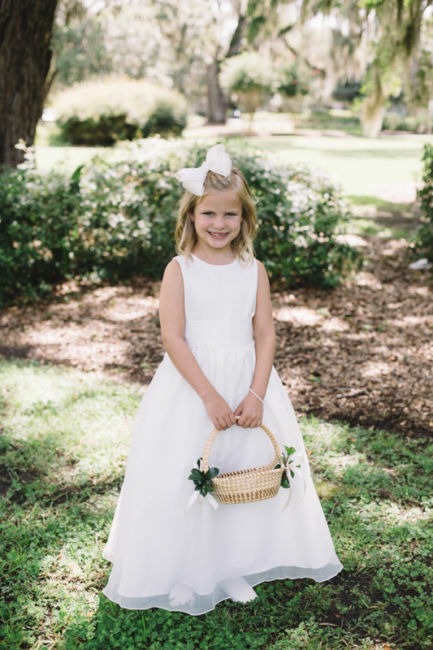 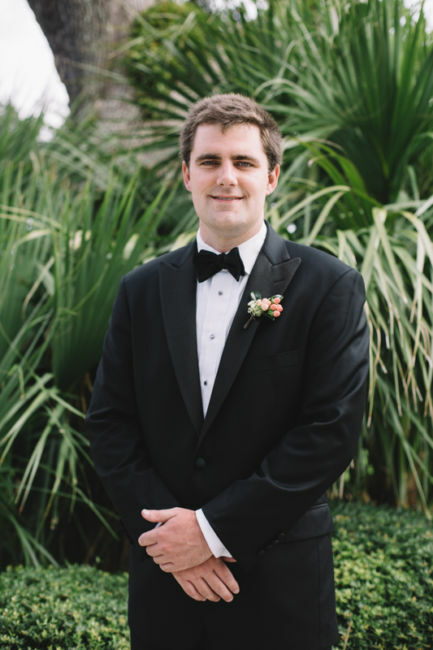 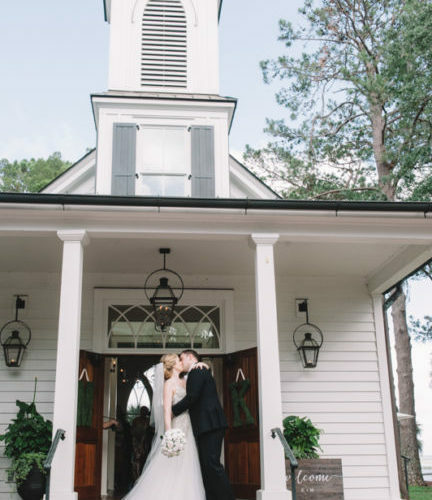 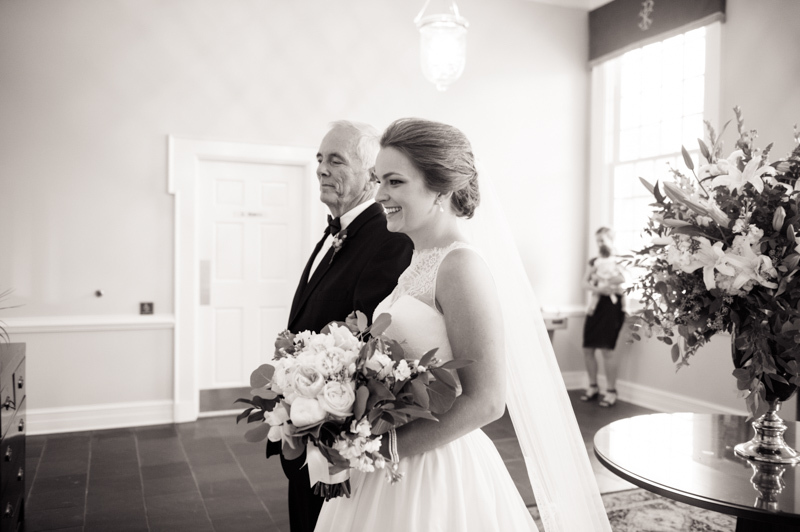 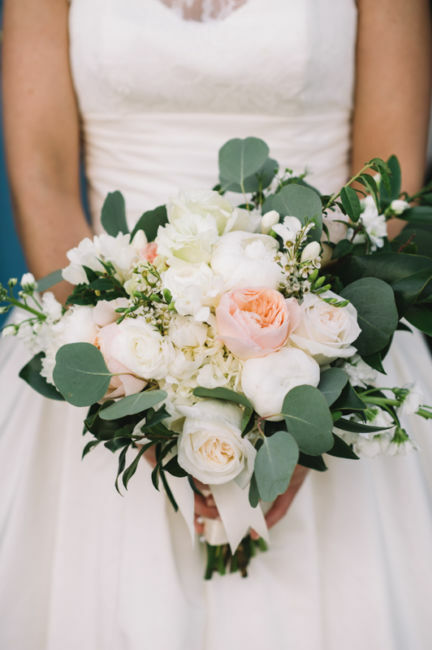 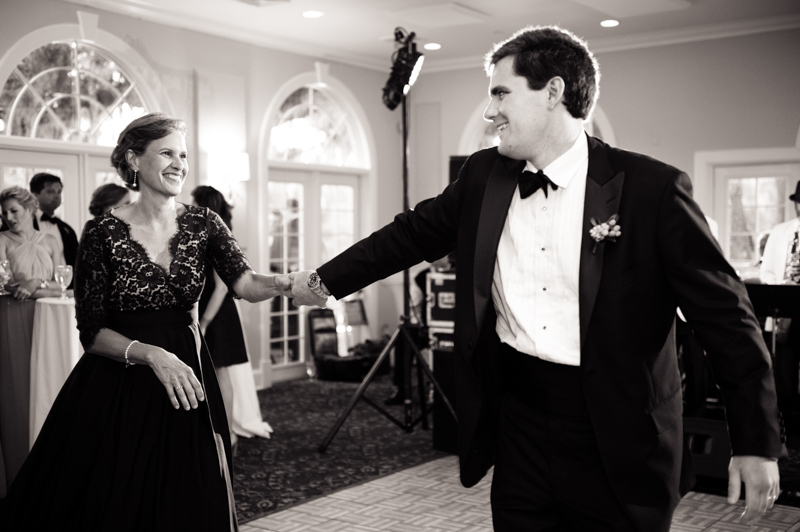 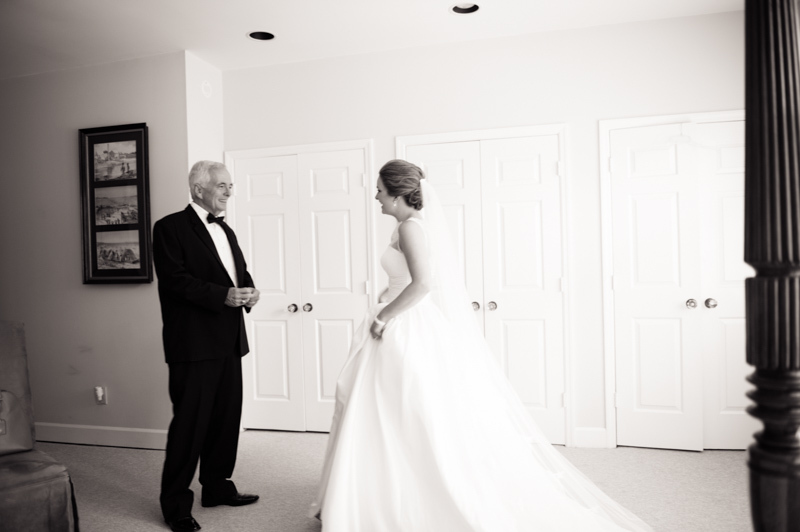 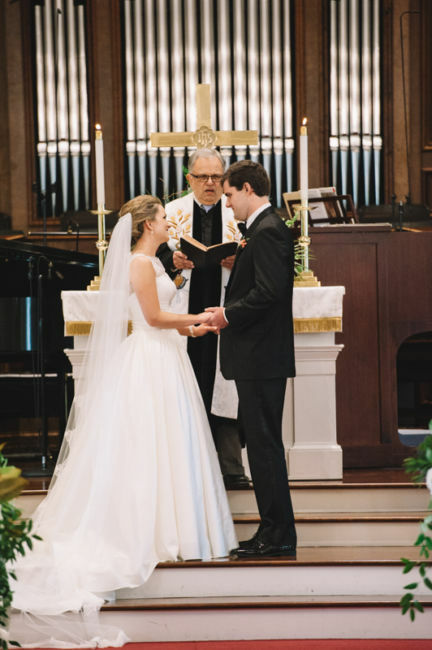 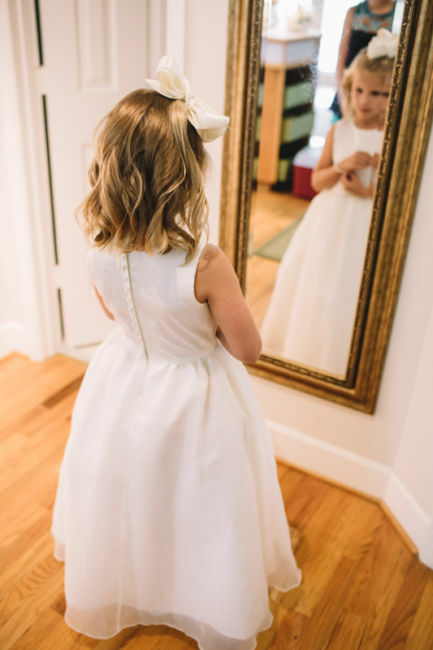 Planned by close family and friends, their wedding day was filled with southern staples such as magnolia leaves and hydrangeas. 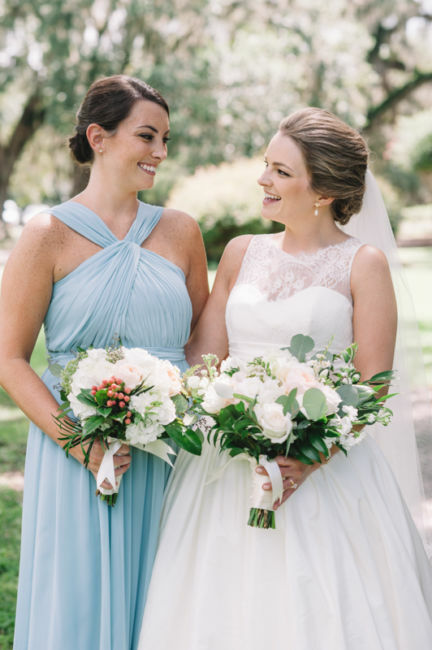 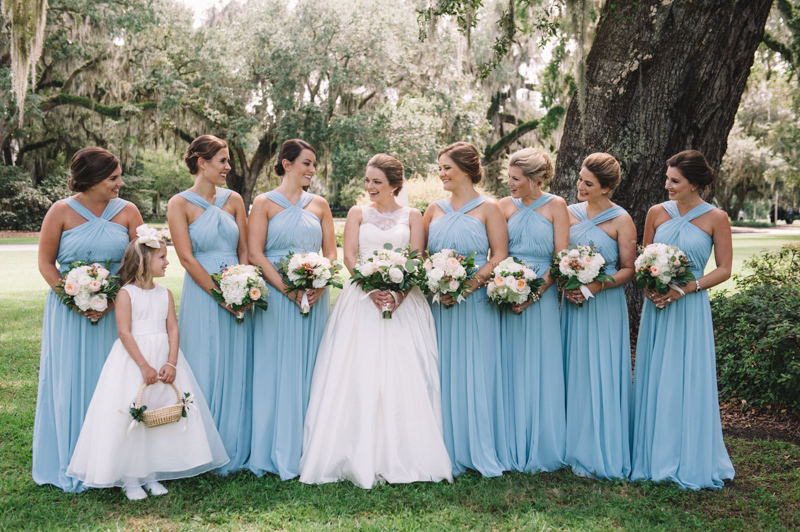 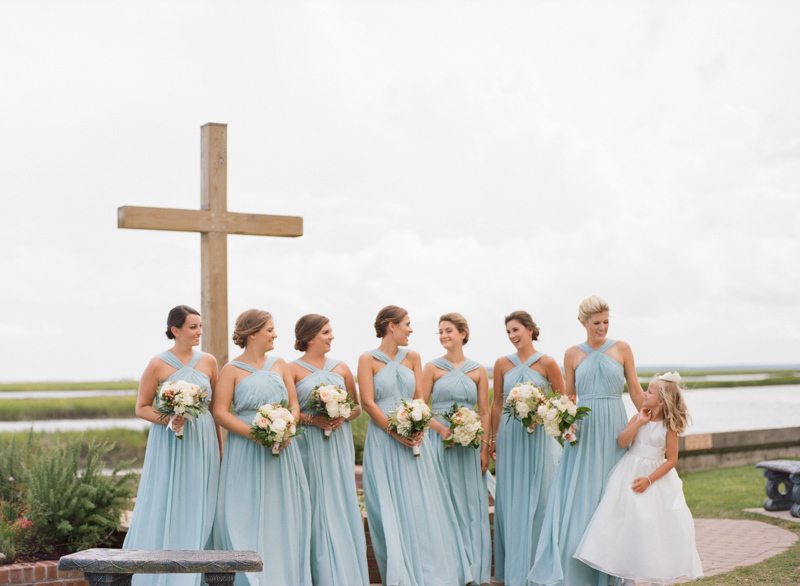 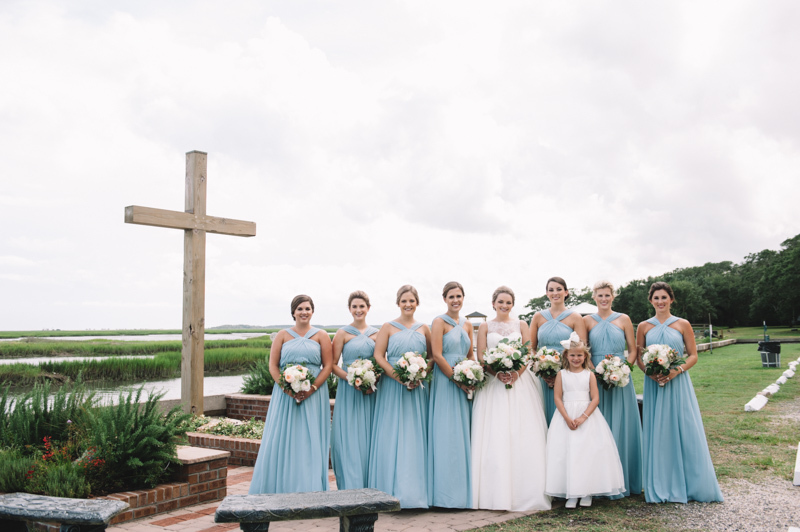 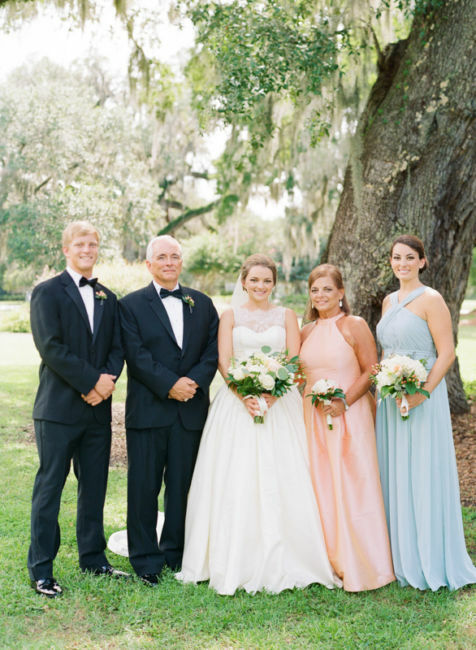 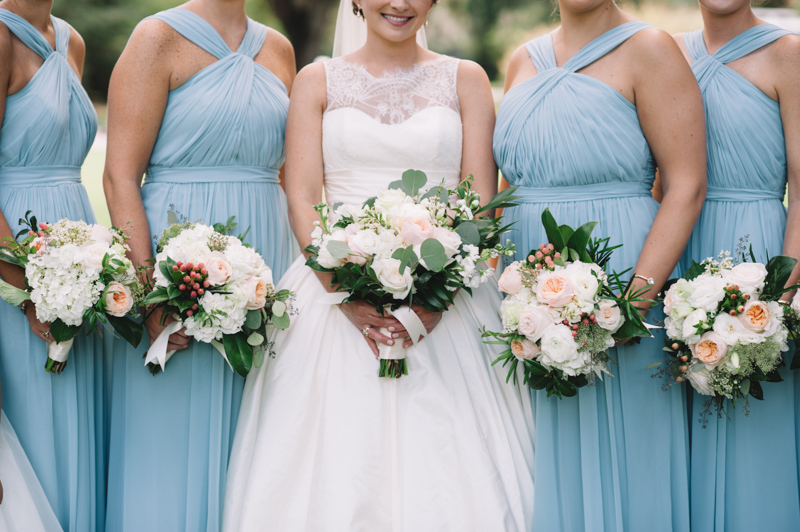 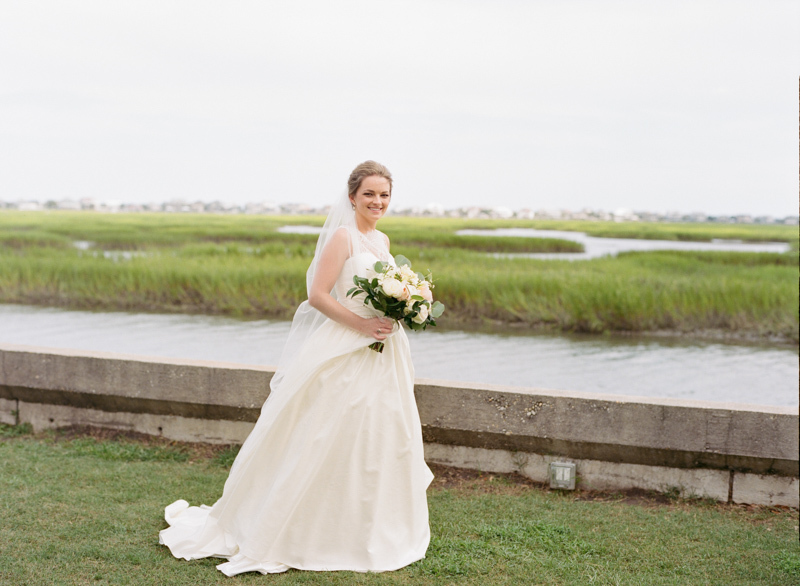 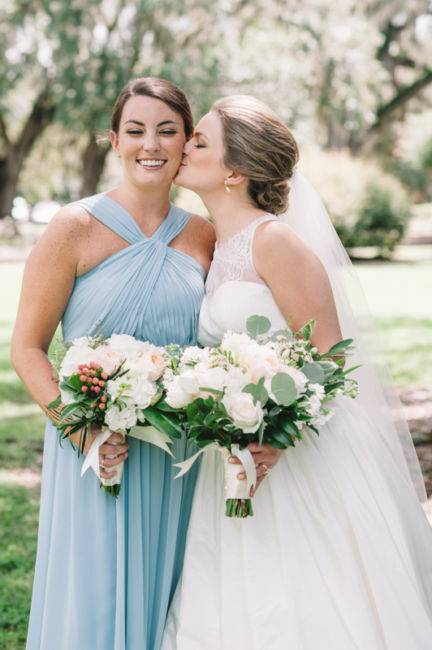 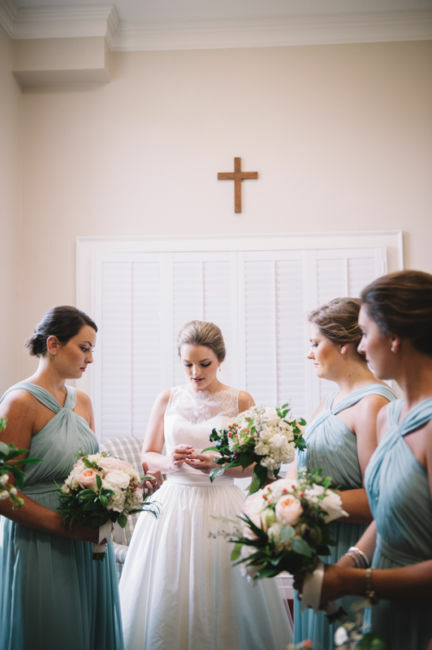 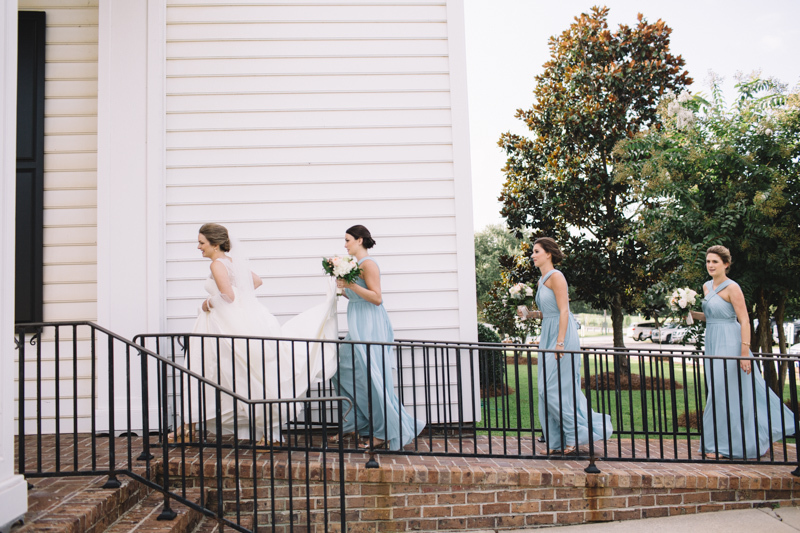 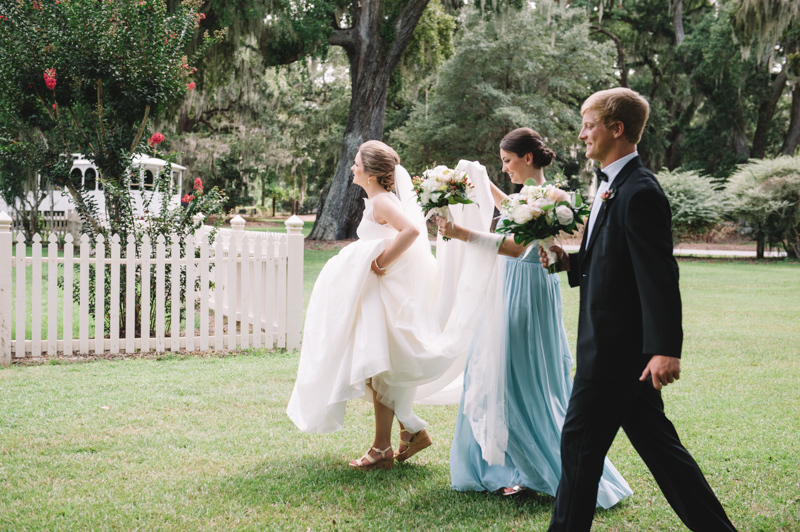 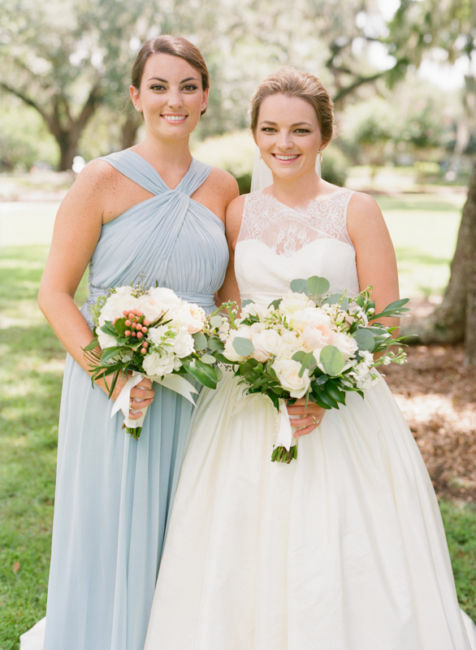 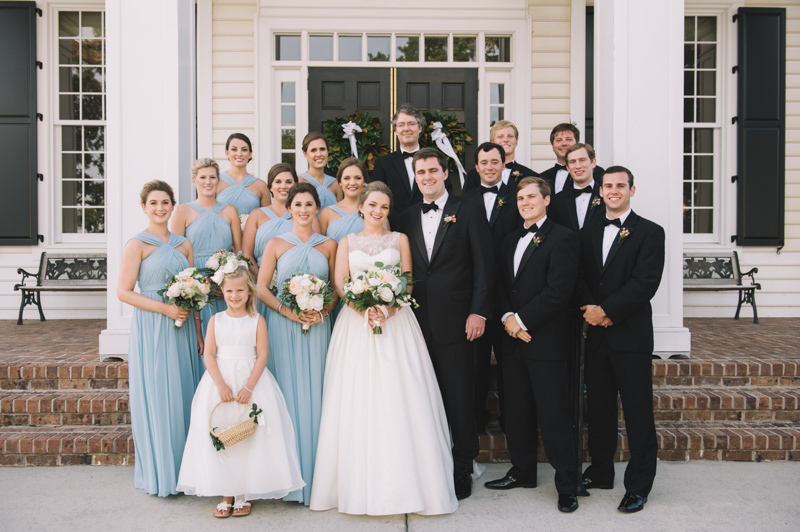 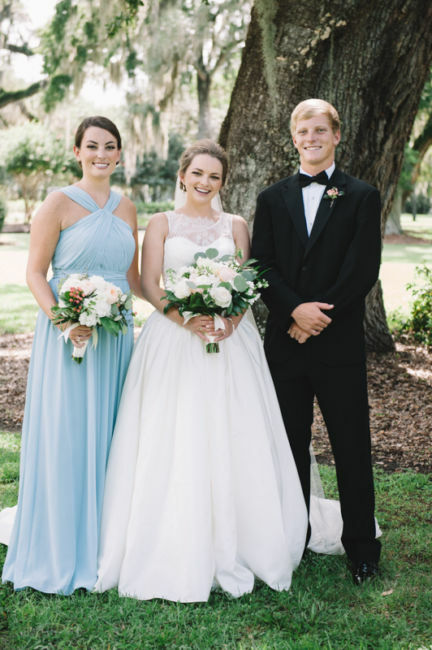 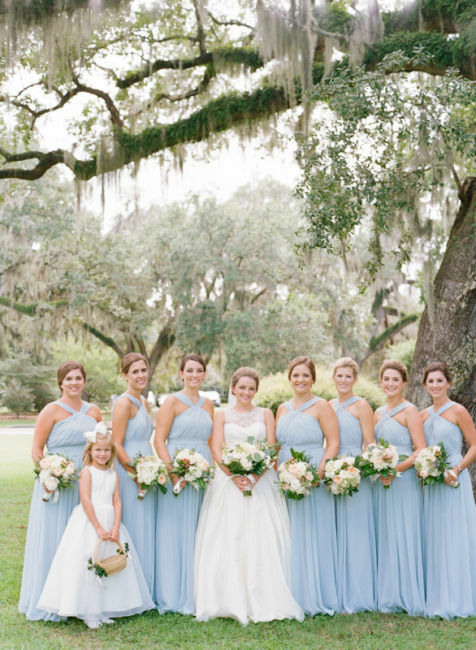 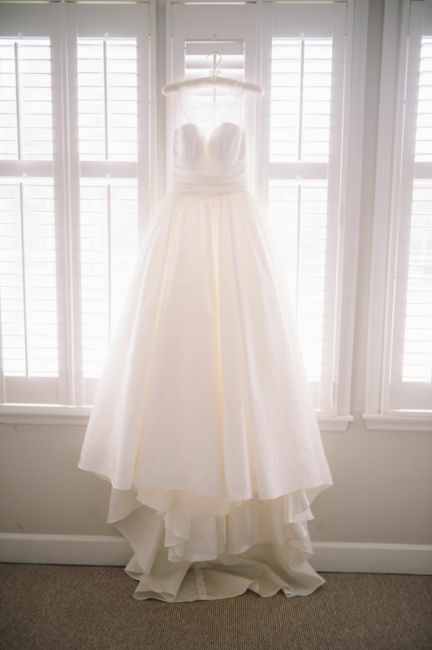 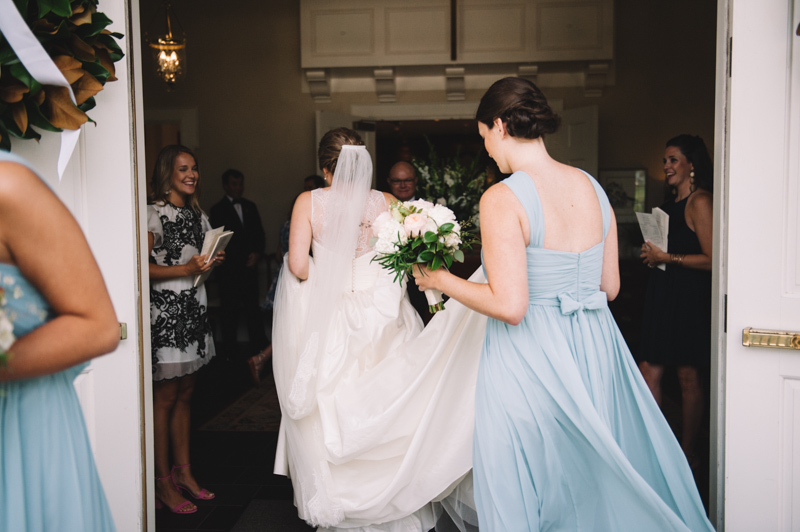 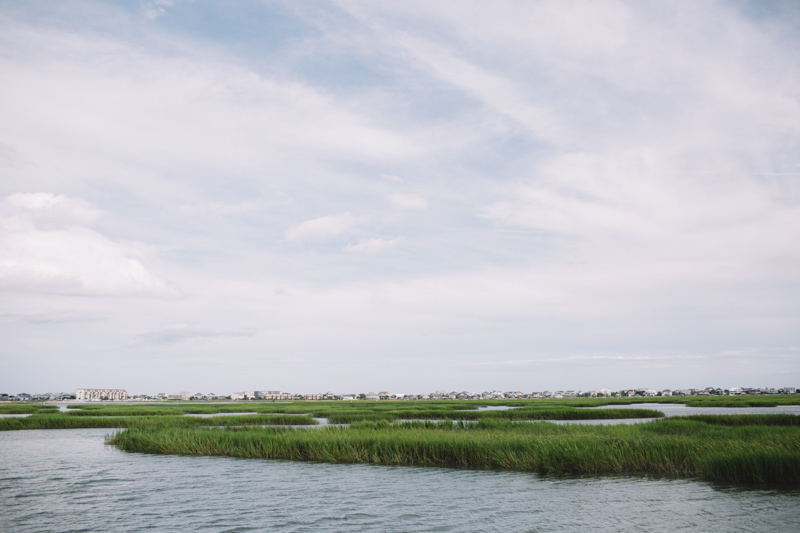 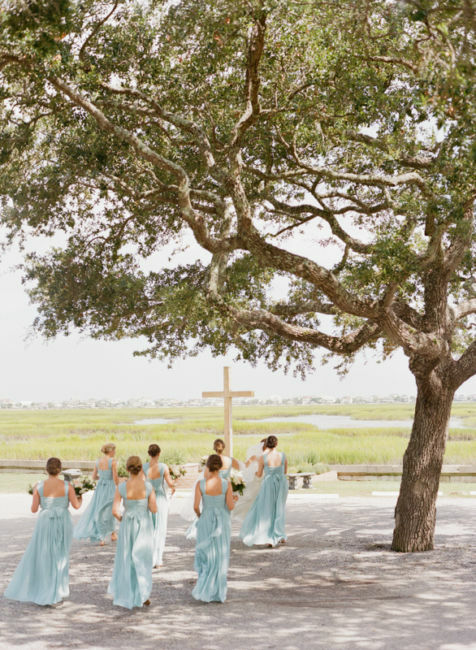 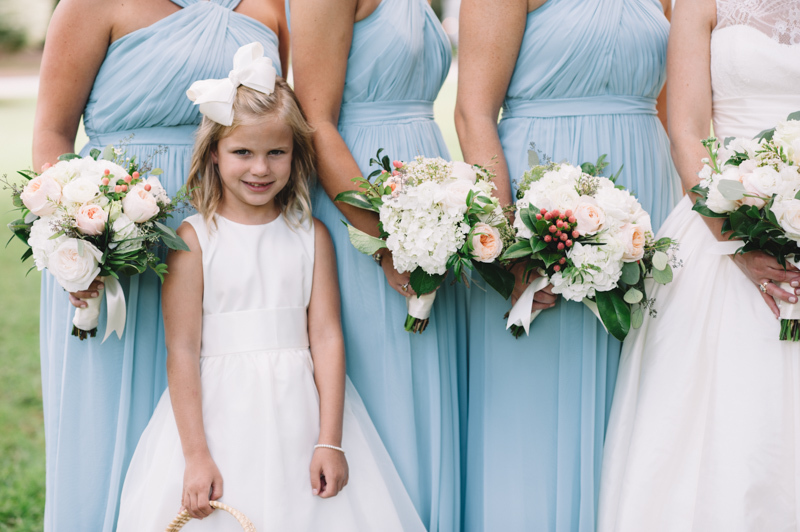 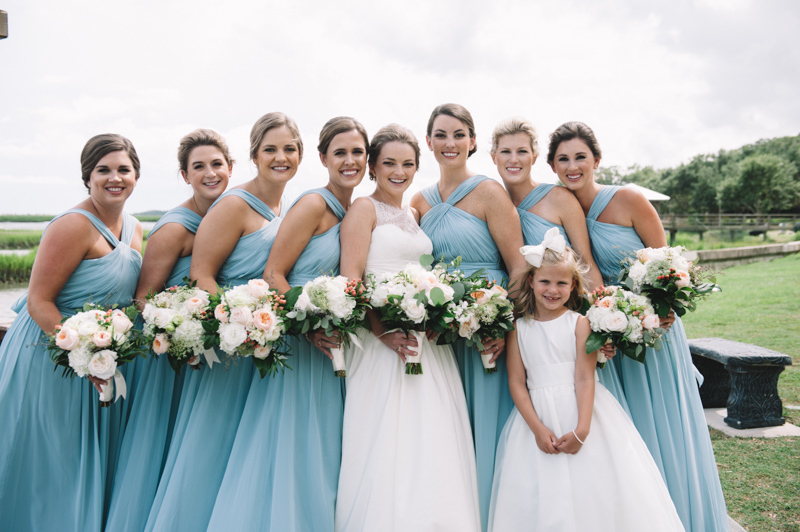 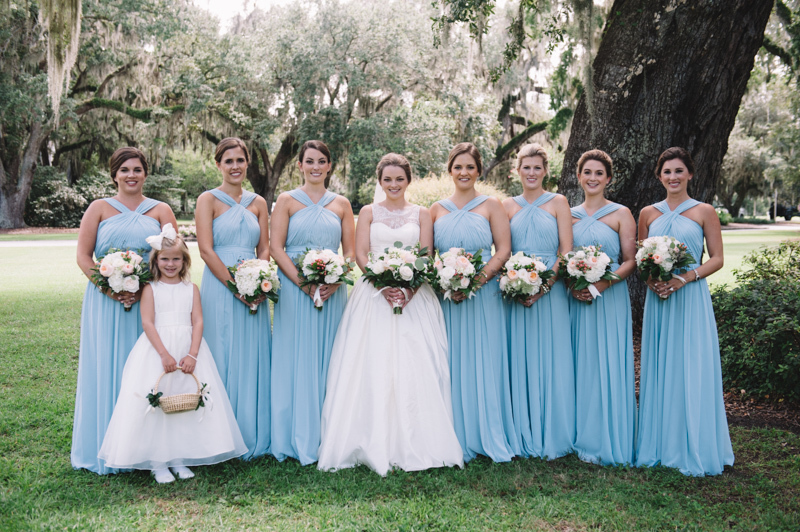 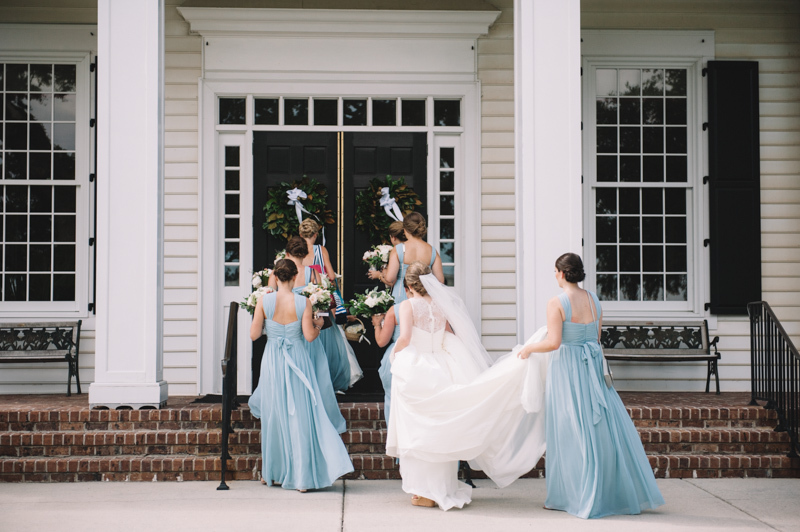 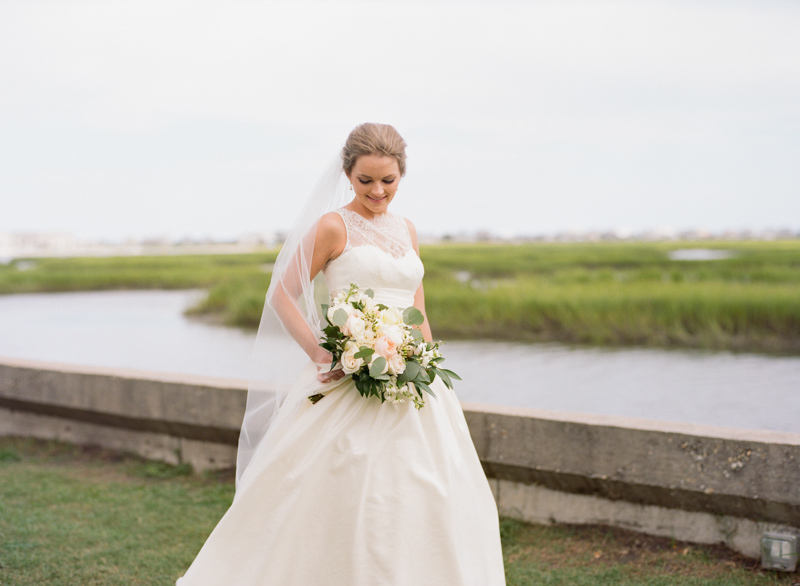 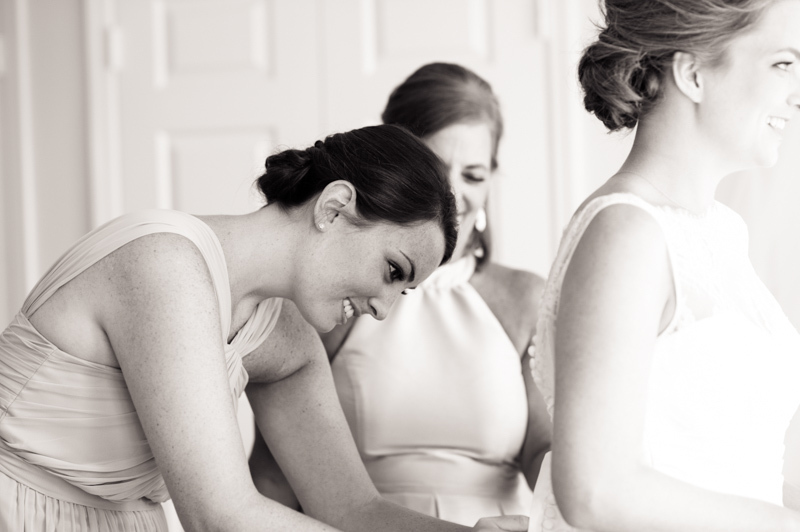 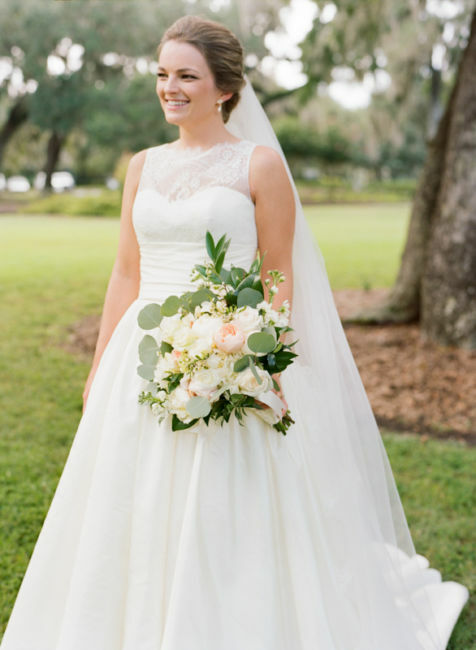 Francie looked stunning next to her pastel blue maids and the low country marsh. 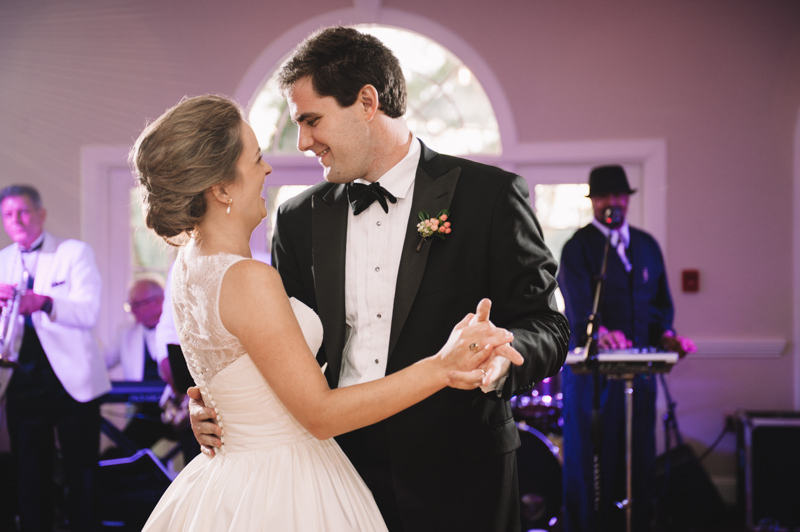 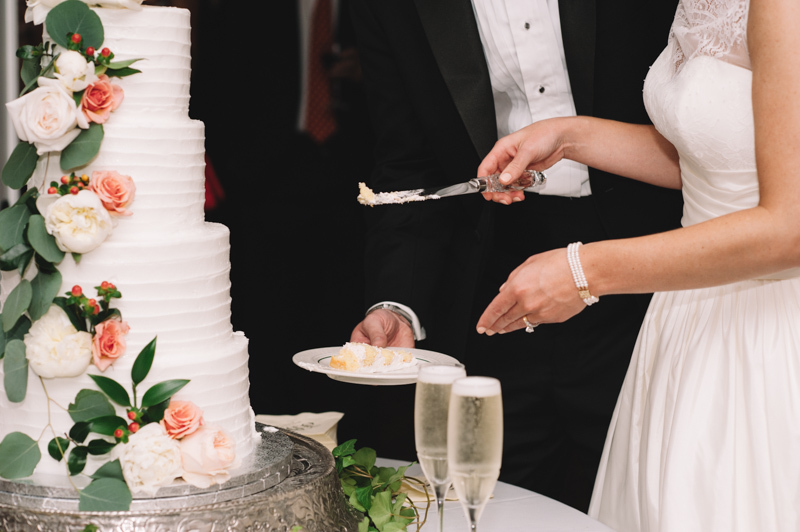 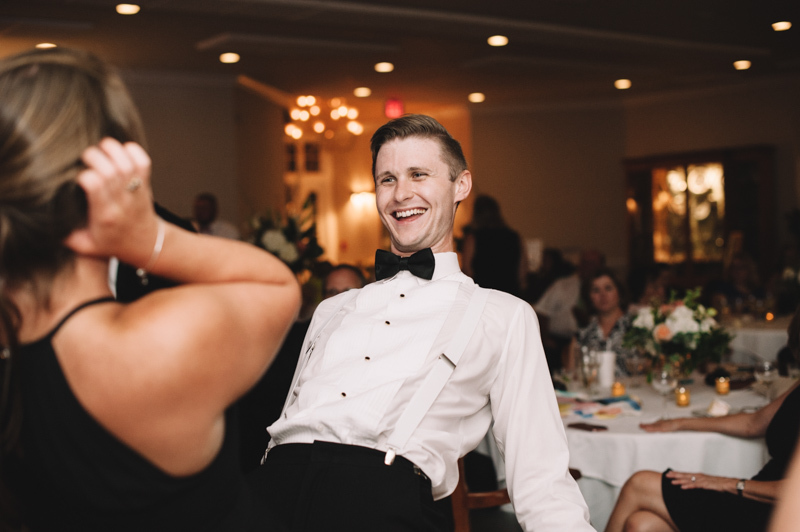 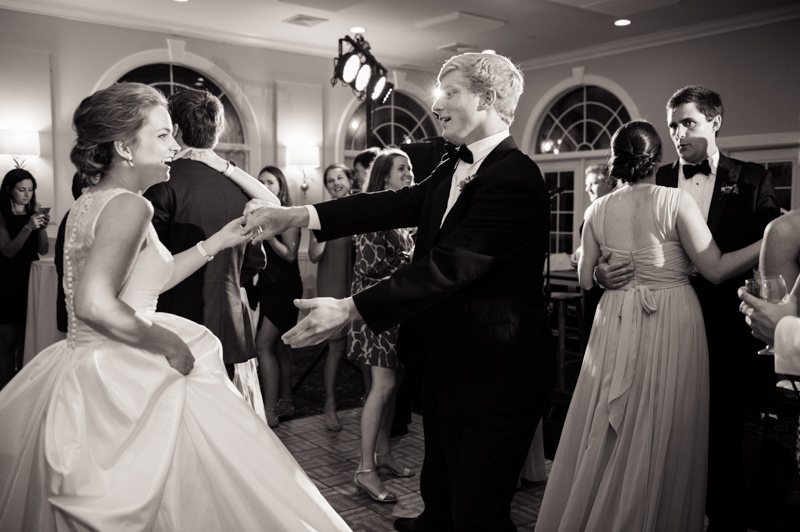 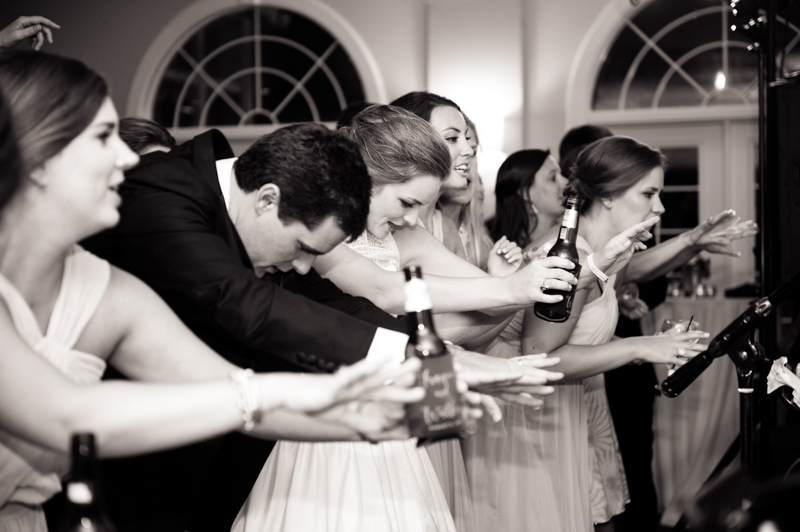 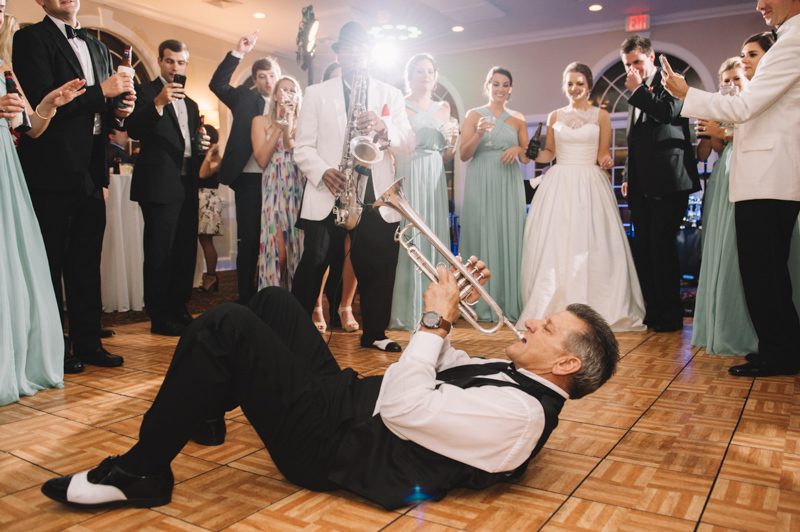 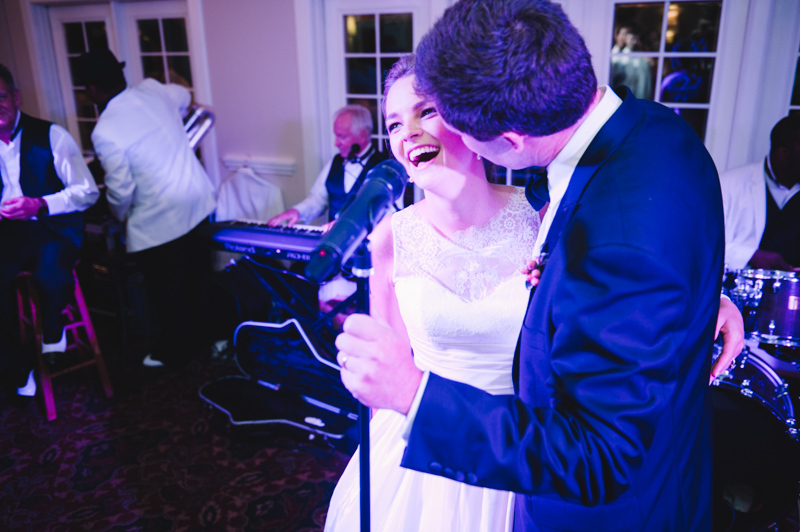 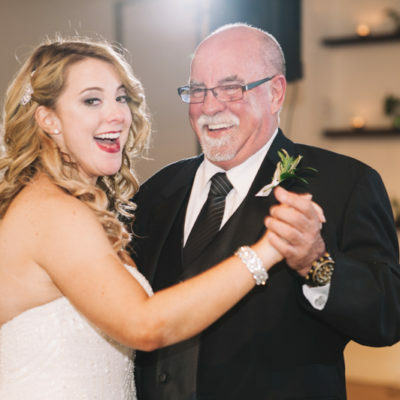 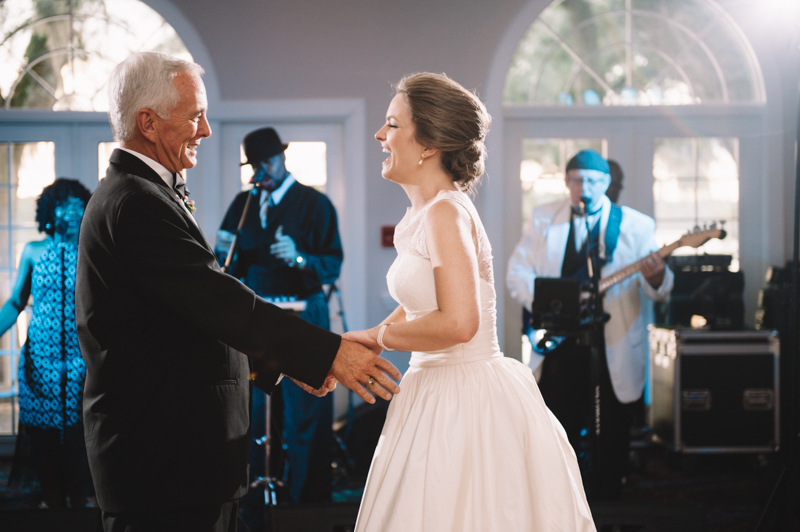 The reception’s tables and cake cascaded with white and blush florals and the band put every guest in the mood for a dance party. 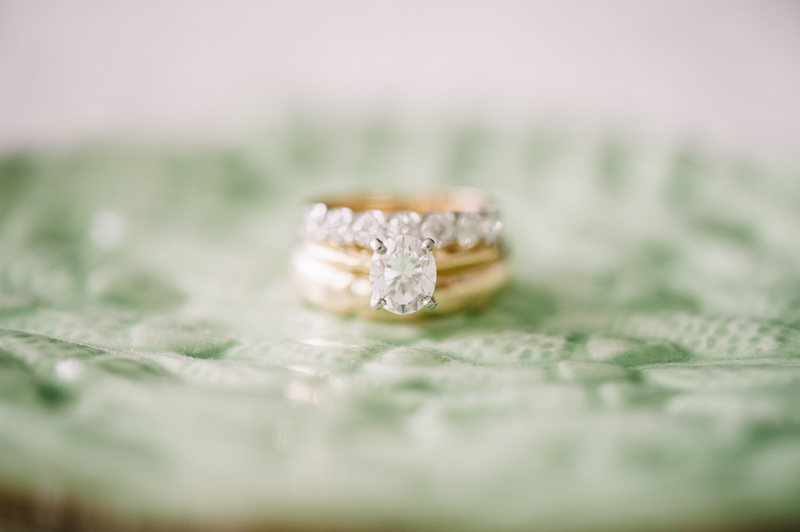 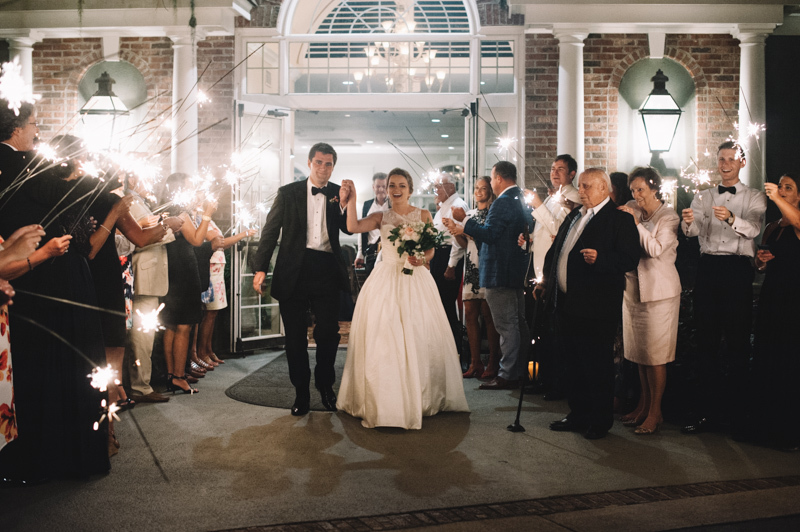 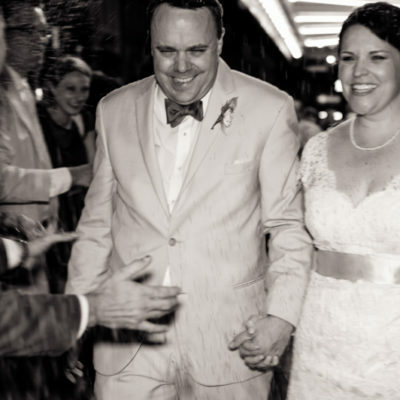 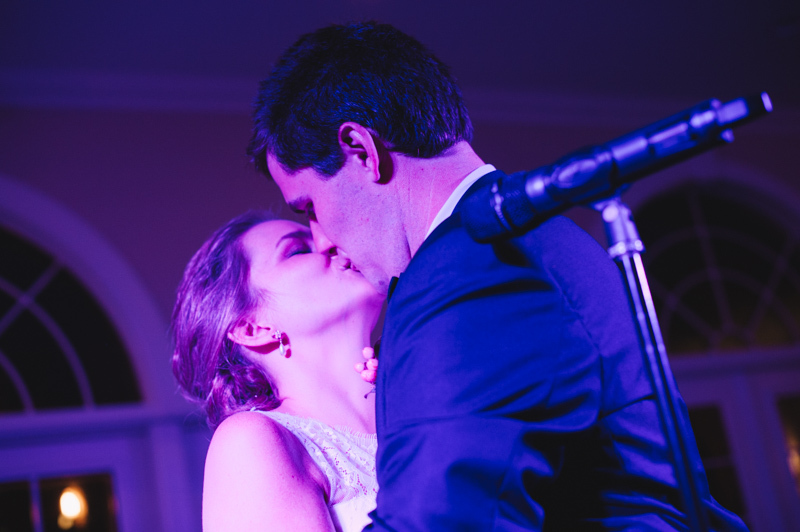 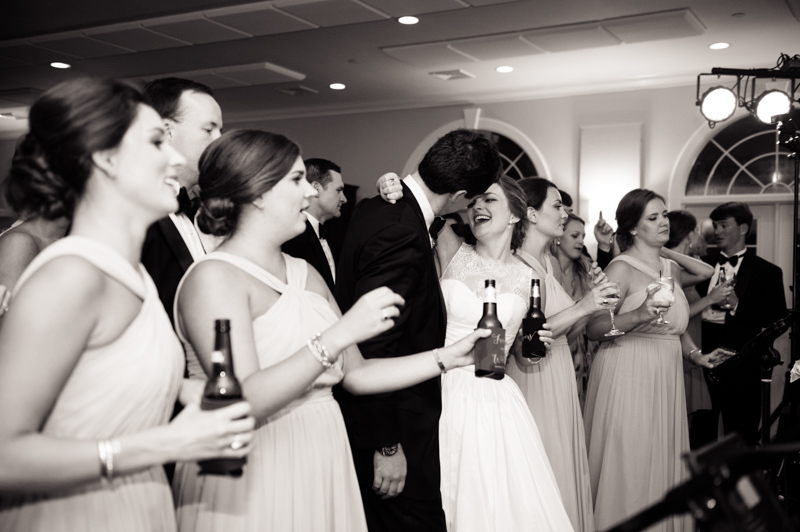 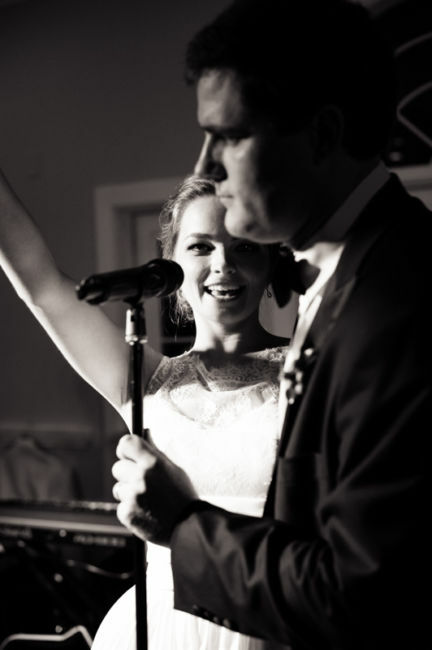 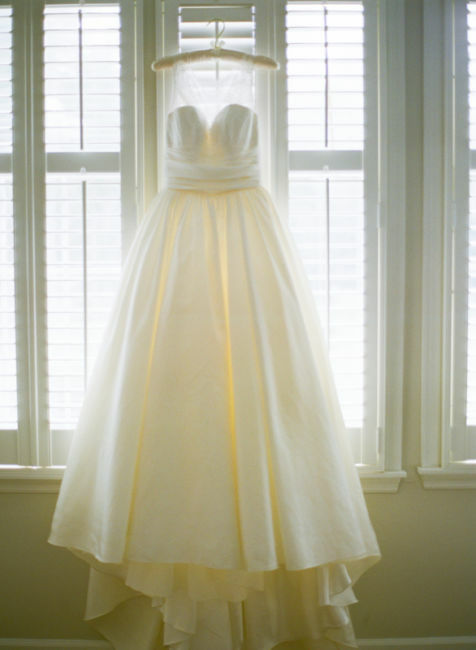 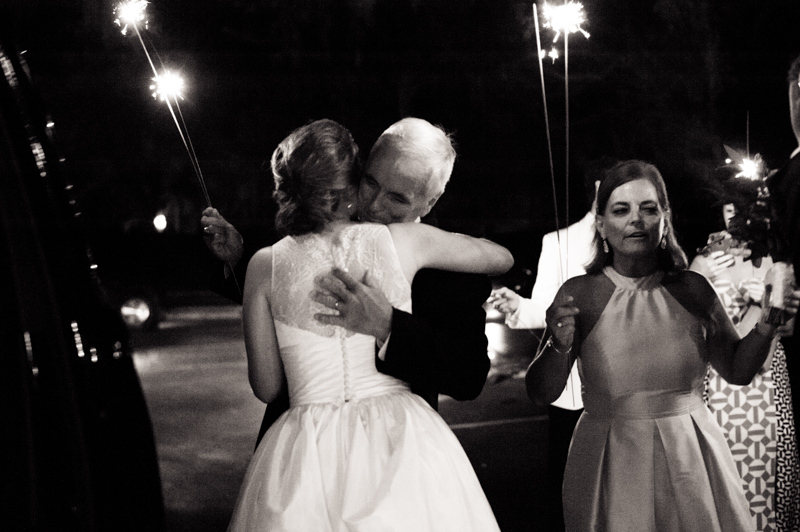 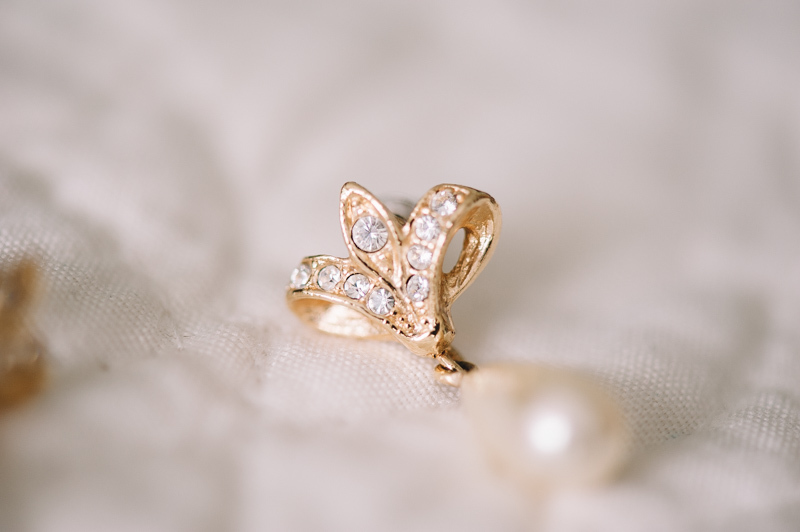 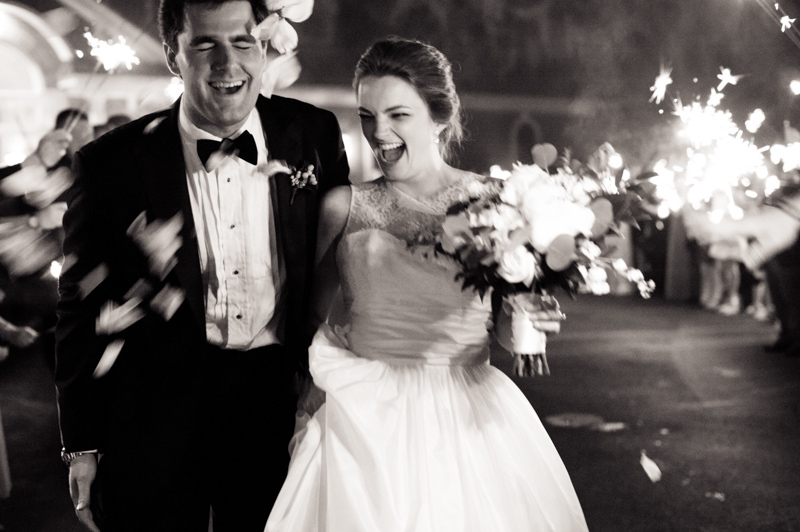 The couple ended their wedding night in a sparkler get-away as bright and cheery as their New Years Eve engagement.